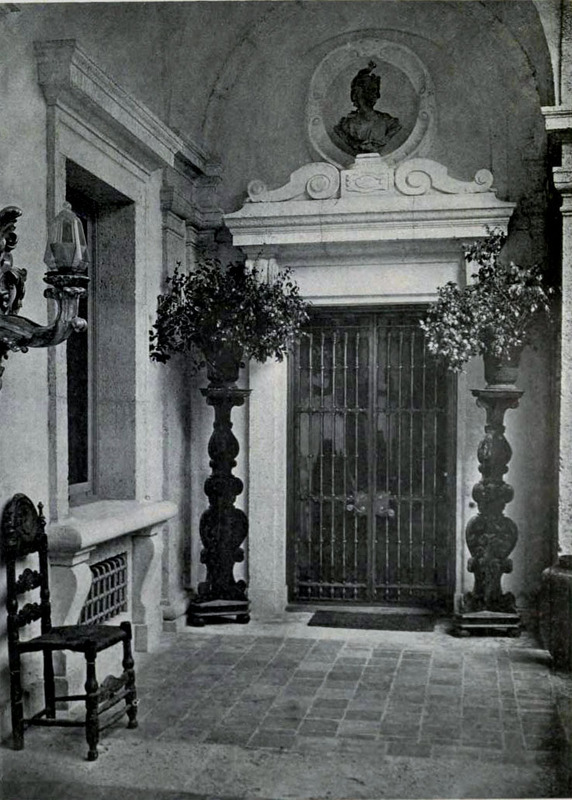 When I posted early photographs of Vizcaya from the 1917 Architectural Review several weeks ago, I promised a post with the interior views. 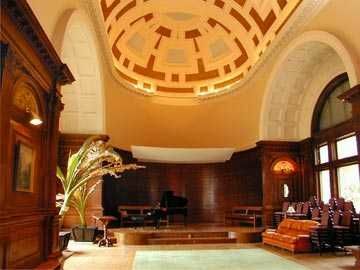 I’m undeniably easily distracted, but I always get around to it in the end, lest you thought I’d forgotten These pictures show the interiors, more plushly furnished than today, as Paul Chalfin first created them for James Deering. 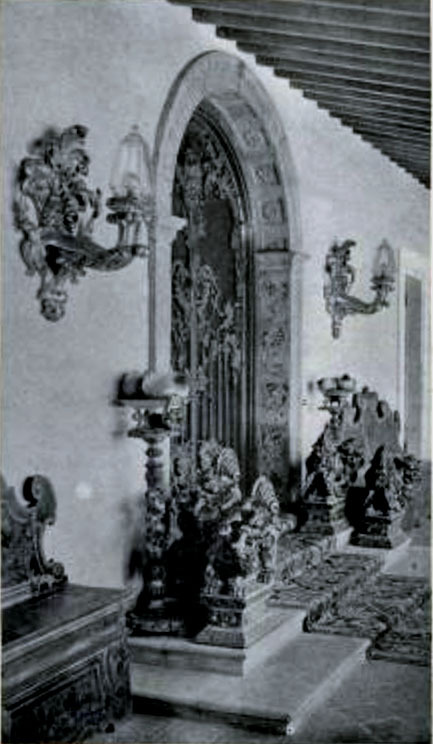 The Deering heirs, in a plan to open the property to the public, removed many excess items to facilitate the flow of visitors, and to emphasize the antique over the modern. 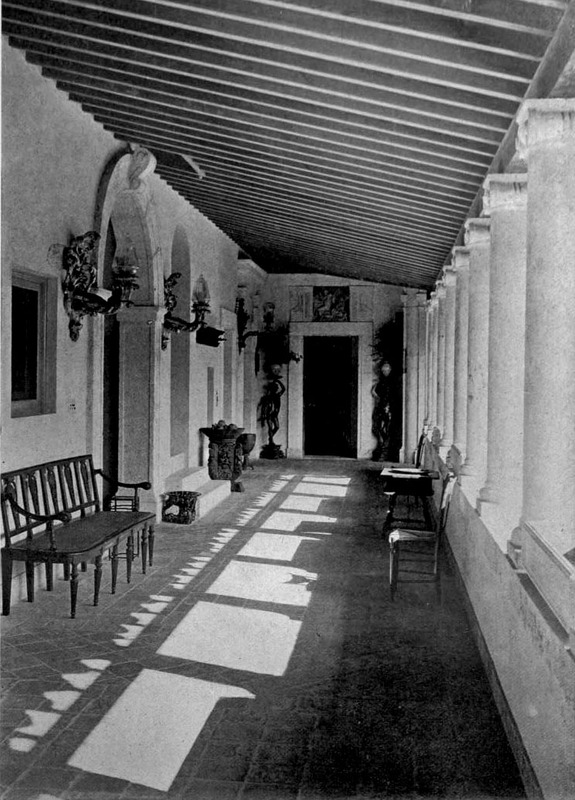 For the original article in Architectural Review, written by Vizcaya’s presiding genius, Paul Chalfin, about the creation of the house (in which he churlishly does not give credit to landscape designer Diego Suarez), click here. 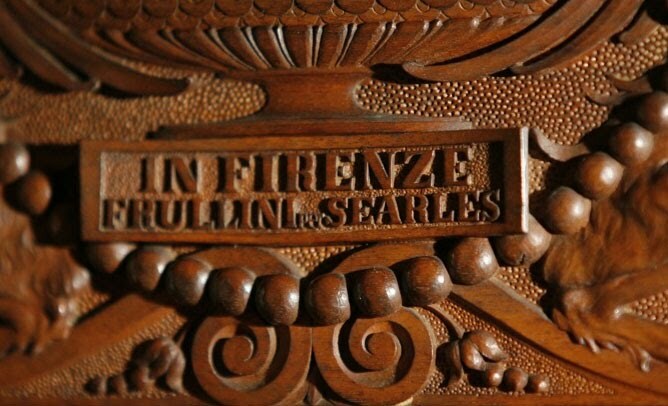 It provides fascinating insight into the sensibility that led to creation of this most extraordinary place. 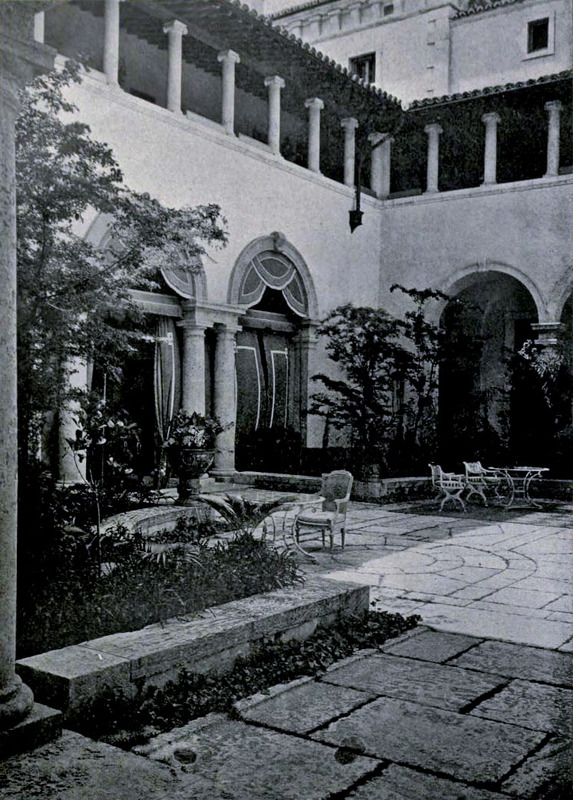 Shown here is the courtyard before the vandalism perpetrated on it by Vizcaya’s then director and board in the 1980’s. 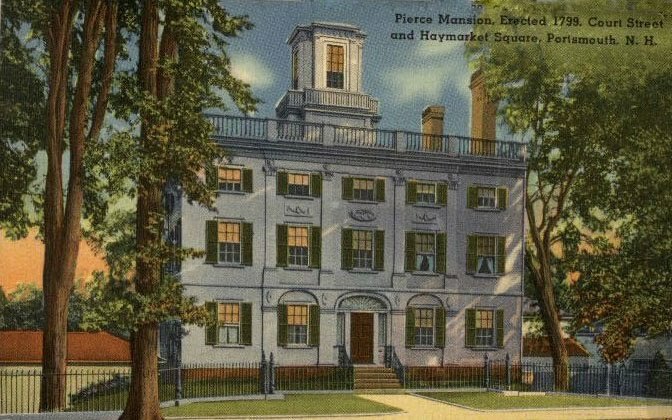 As president of the board of a much smaller historic house museum myself, I am painfully aware of and sympathetic about the hard choices facing museum directors trying to protect their buildings and collections. 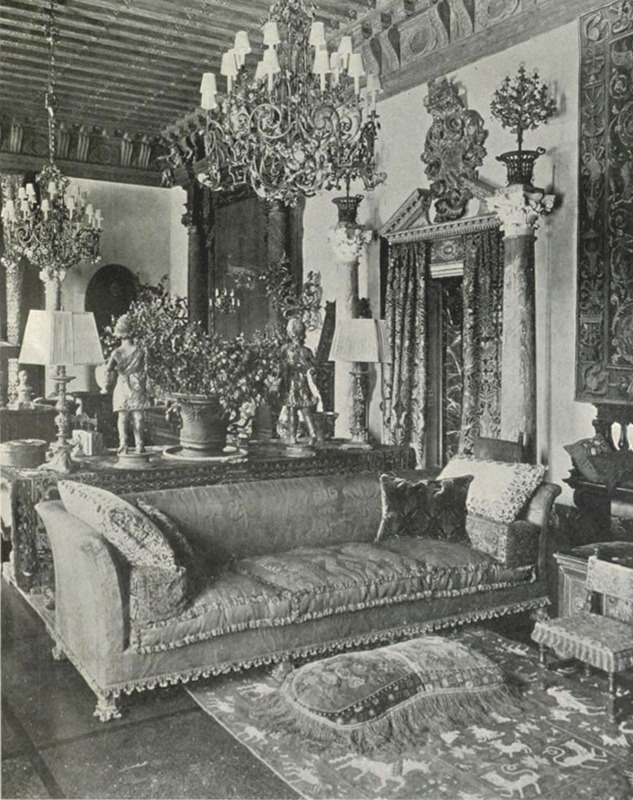 The problems facing Vizcaya are huge—a house directly on a saltwater bay in a humid tropical climate, filled with textiles and furnishings created long ago in gentler climates. Nevertheless, the rule of thumb in these matters is to approach the solution holistically, with as little intervention as possible. 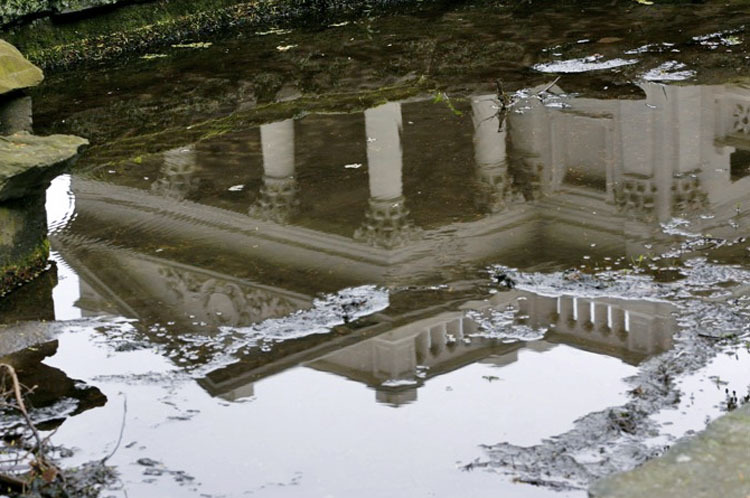 At Vizcaya, one of the greatest houses in America, a perfect storm of ideas and needs resulted in one of the greatest acts of vandalism I have ever seen perpetrated on a protected historic building. To seal the house for climate control, a decision was made to cover the courtyard with a glass pyramid, supported by huge concrete pylons. 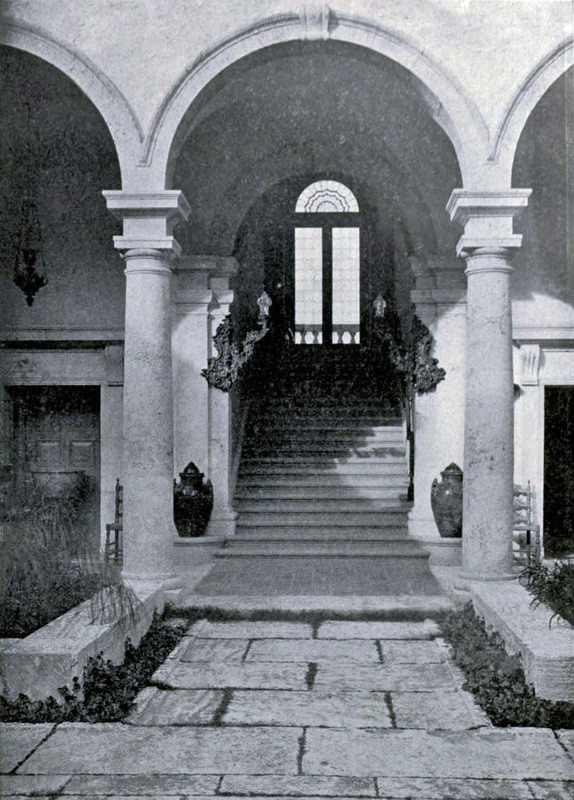 The beautiful courtyard, open to the sky, recorded so beautifully in watercolor by John Singer Sargent, now has the feeling of an upscale shopping center atrium. The experience of light and air is completely changed. There was no excuse. Many other solutions were possible. 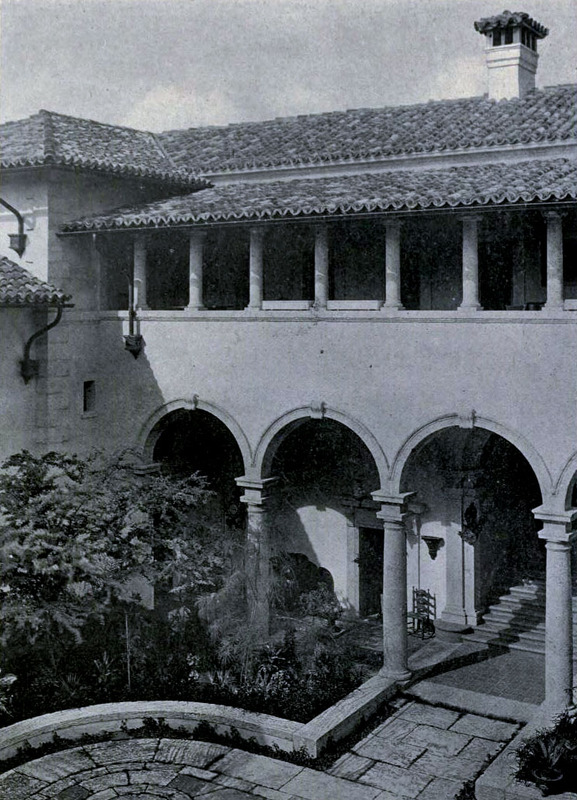 Apparently, many architects and preservation groups banded together in protest at the time, but with visions of the Louvre Pyramid, and the ability to book the courtyard for all-weather events rentals (indeed, events venues are de facto an important factor in the funding of this expensive property) in their heads, Vizcaya’s management forged ahead. 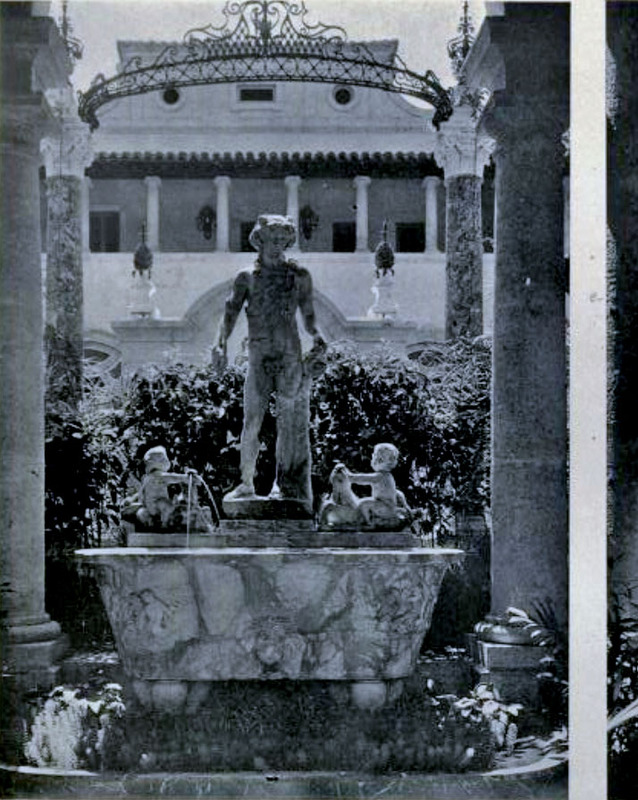 I understand that there is talk of undoing this awful construction, and as one who saw Vizcaya before it happened, I can only hope that it is taken down, and the integrity of the house restored. I remember it well. The environmental movement was very new, and a young group of us at school were taking a class called ‘Human Ecology’, whose instructor, no kidding, was named Green. When it was suggested that we take an afternoon off from school to go out and clean up the roadsides, none of us had to be asked twice (“oh no, Mr. Green, I couldn’t possibly miss Algebra just to spend a school afternoon outside”). 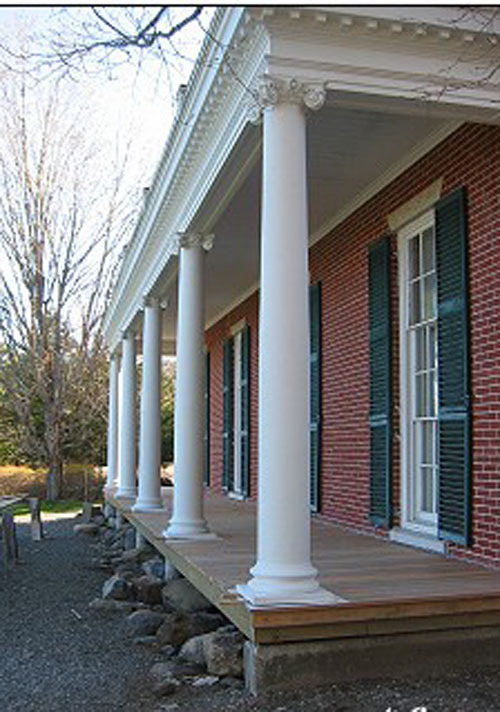 The principles of green, then as now, were imperfectly understood. We set forth on our clean-up mission armed with a box of 100 plastic garbage bags, in my mother’s Buick station wagon, longer than a city block, with a 455 cube 4-barrel with overdrive, the largest of the many large engines that GM produced in those days, burning up the ozone at 14 mpg (pretty houses aren’t the only thing I know about). 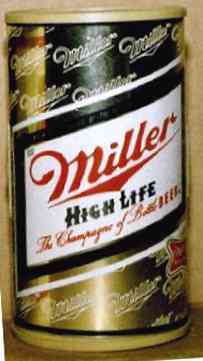 Nevertheless, what we cleaned up from the roadsides that day was shocking—literally thousands of beer cans (Miller being the hands down rural Maine favorite in those pre-Heineken days), old newspapers and magazines, household refuse. Since then, Maine has passed both a returnable bottle bill and one of the stiffest drunk driving laws in the nation, pretty much taking care of the Miller can problem, and our village was one of the first in Maine to have re-cycling at the local dump, now known as the Solid Waste Disposal Center (I still call it the Dump), but the things one sees tossed away, waiting to fill up the landfill is shocking. The town has a sewage treatment system, and no longer does the estate of a major department store heiress discharge the waste of its 10 bathrooms directly into the bay, as we discovered on another class outing. Progress is being made. Yet, despite all we know, there are still an alarming number of public building sized SUV’s and gigantic Pickups trolling local streets, totally unnecessary for daily life, making that giant Buick Wagon of my youth look like a pedal car,(when did the humble pickup trucks of my childhood become the size of a semi, and why? ), and in the summer, big box stores are artificially cooled to the temperature of a refrigerator. The local food movement has some traction, but is expensive, and the food mostly gets transported home in one of those Ozone burning SUV’s (wtf is wrong with people?). People drive insanely fast, making a joke of fuel economy, but lawns are mostly organically fertilized now—rare is the sight of one of those unnaturally green weedless chemical lawns. We mean well, but there’s a long way to go before we get there. And then there’s the matter of all those plastic shutters which will have to be thrown away some day. 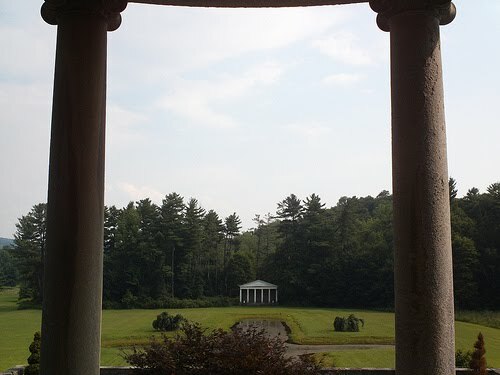 Today’s announcement of this year’s Pulitzer Prizes reminded me that the events that led to the creation of the prize were set in motion here in Down East Maine in 1902. 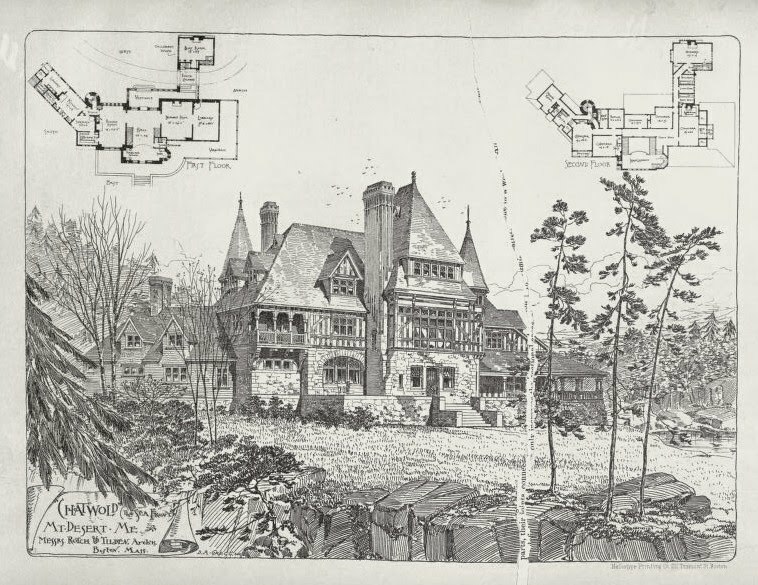 The estate, known as Chatwold, had been designed for Mrs. Livingston, when she was Miss Bowler, in 1884 by the prominent Boston architects Rotch and Tilden. 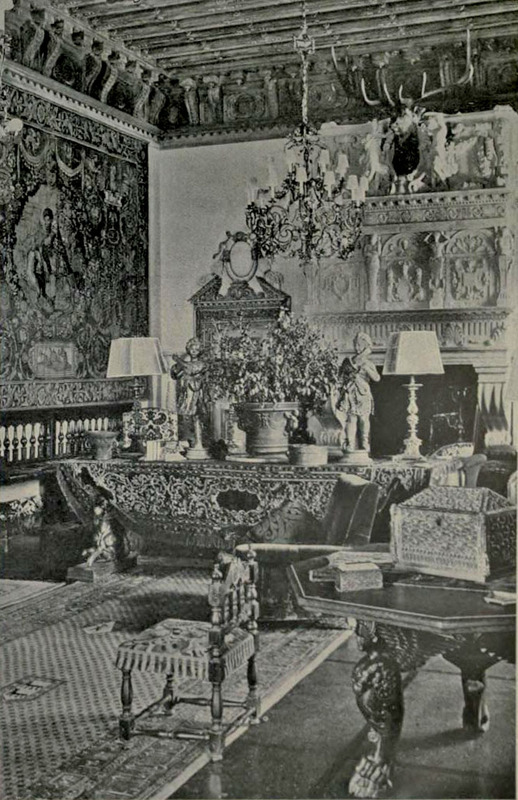 Much admired, it was published in many of the foremost architectural publications of the day, including George Sheldon’s Artistic Country Seats. 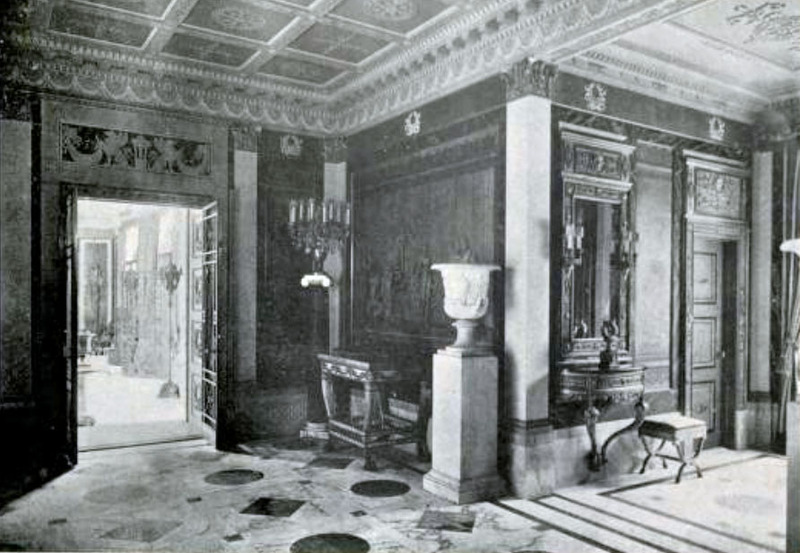 Of stucco and half timber construction over a first floor trimmed in the local pink granite, the turreted affair consisted of 27 rooms and an astonishing 7 bathrooms on its three main floors. 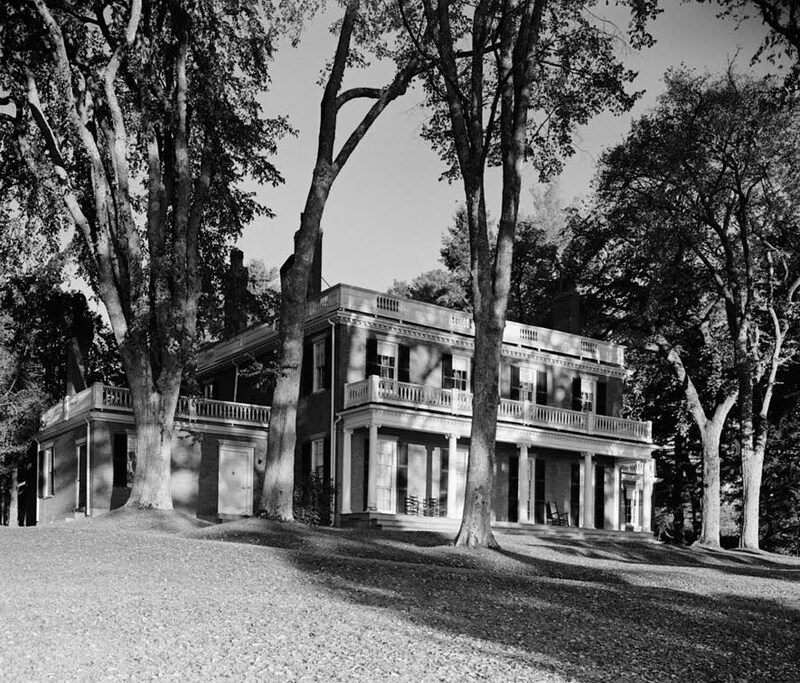 The Pulitzers liked the property, and bought the estate from Mrs. Livingston the next summer. 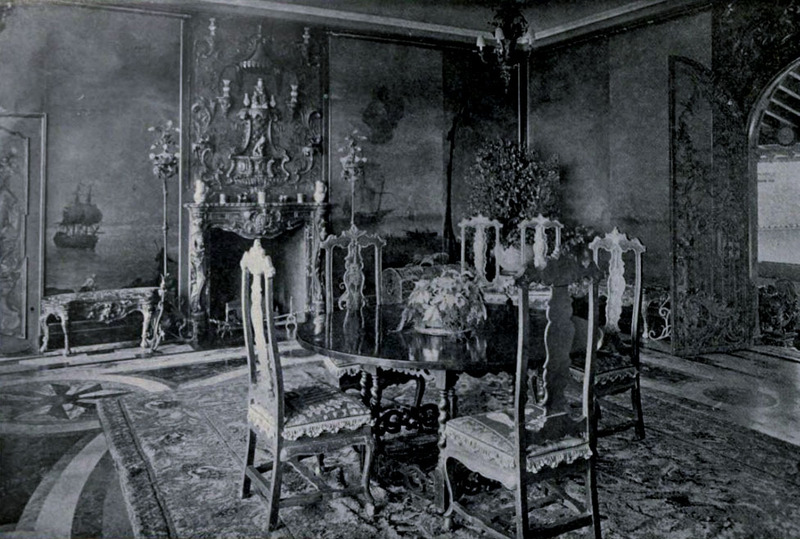 Pulitzer suffered from a nervous disorder and blindness, and was extremely sensitive to sound. 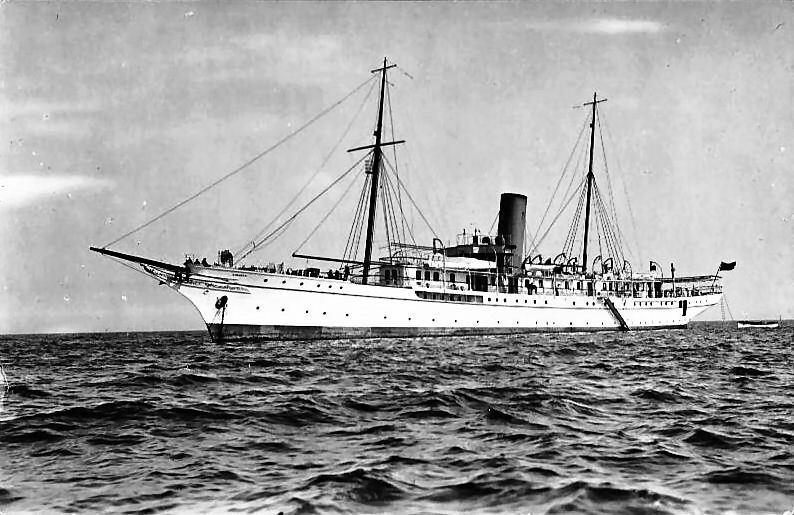 He was said to be happiest on water, especially on his 267 foot steam yacht, the Liberty, which was kept anchored and ready offshore. 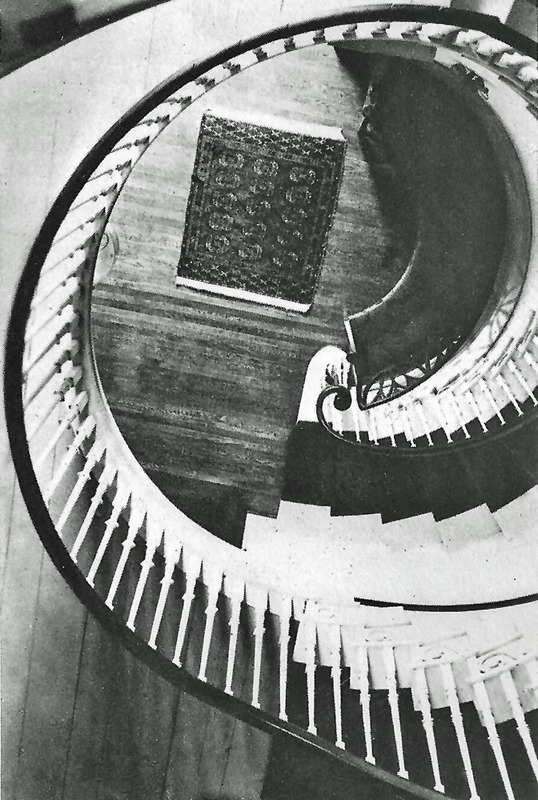 To achieve ideal quiet on land, McKim, Mead & White were summoned from New York to design an addition with special soundproof bedroom for Pulitzer. 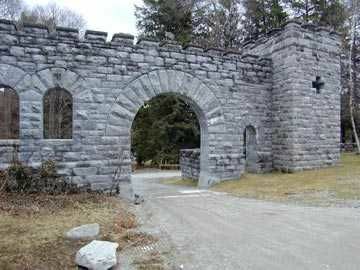 And what an addition it was—connected to the main house by a new wing, it was a huge stone tower, forty feet square, four stories high. 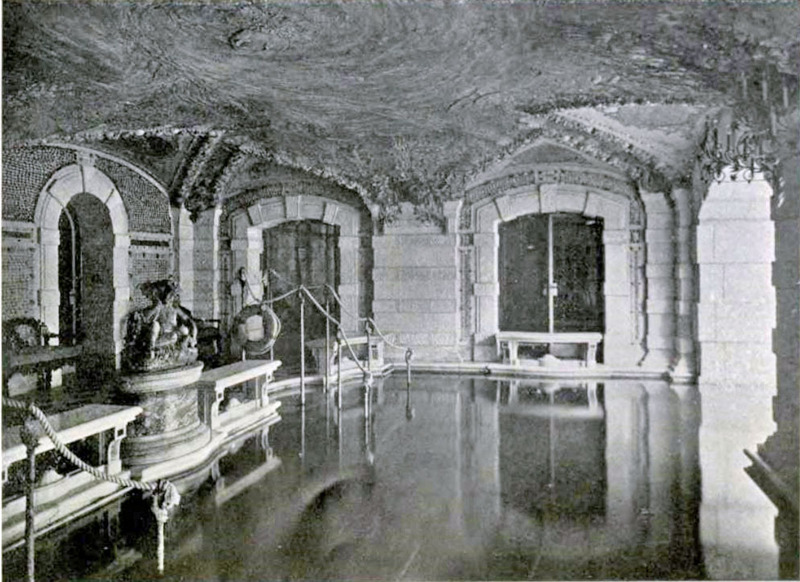 At basement level, there was an indoor pool, ocean fed and steam heated. 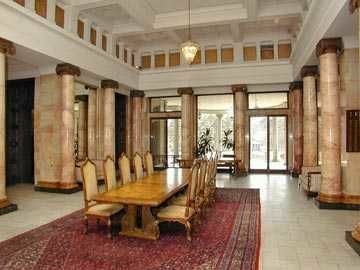 On the main floor, there was a dining room, and a huge paneled library. Above on the next two floors were offices and bedrooms for Pulitzer’s secretaries (who were said to dread their working summers with their driven employer). 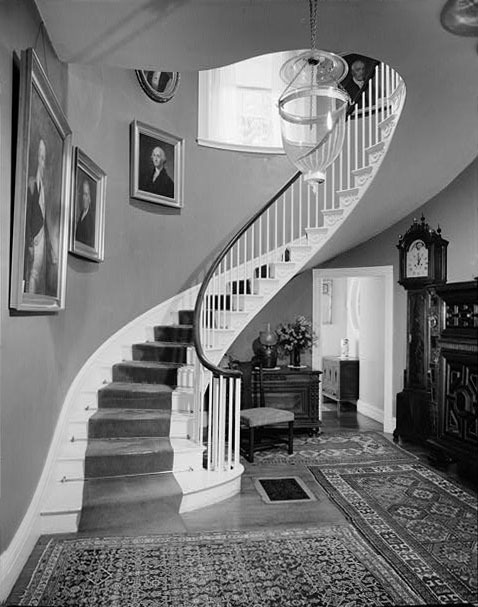 At the top of the tower was Pulitzer’s bedroom—with a floor on ball bearings, double glazed windows, and walls insulated with steel wool. 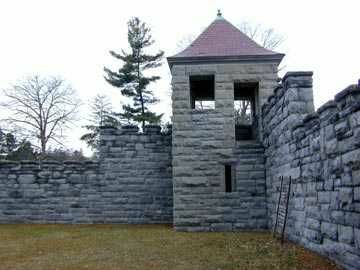 The completed structure was dubbed the ‘Tower of Silence’ by family and staff. 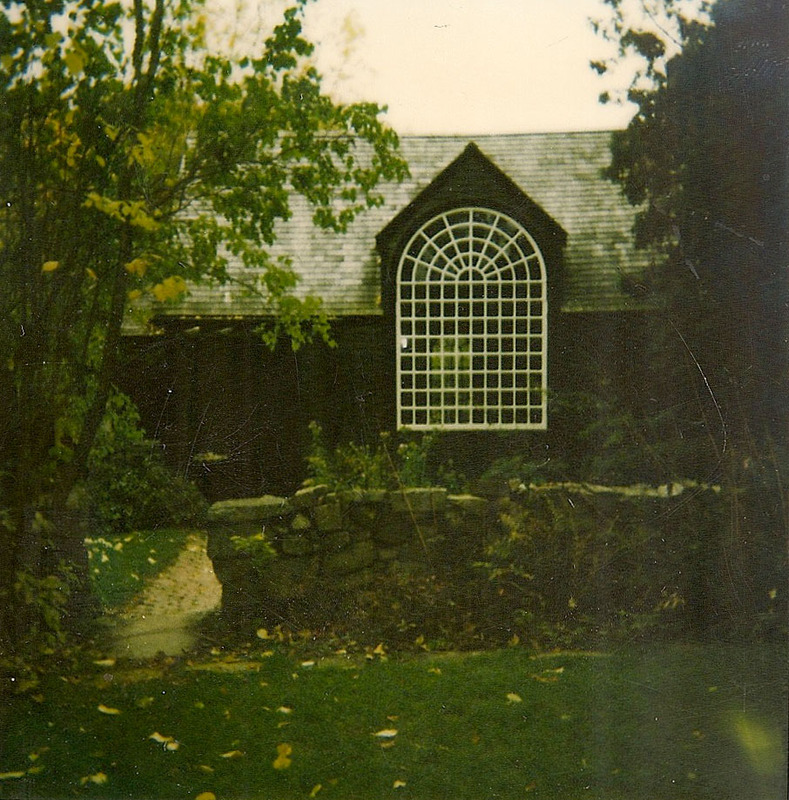 A new stable, with stalls for 26 horses and extensive servant’s quarters was built, along with enlarged greenhouses to keep the house in fresh flowers and fruits. 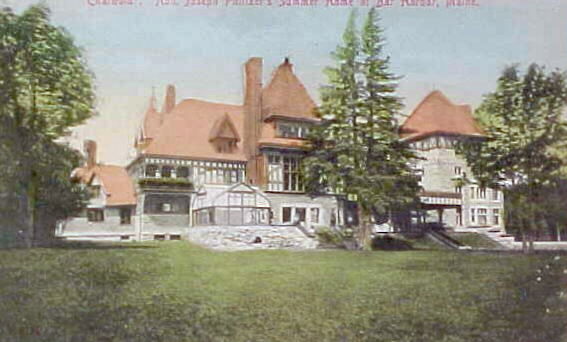 Despite his paper’s editorial stance on wealth, Pulitzer himself had no trouble adapting to the luxurious life at Bar Harbor. 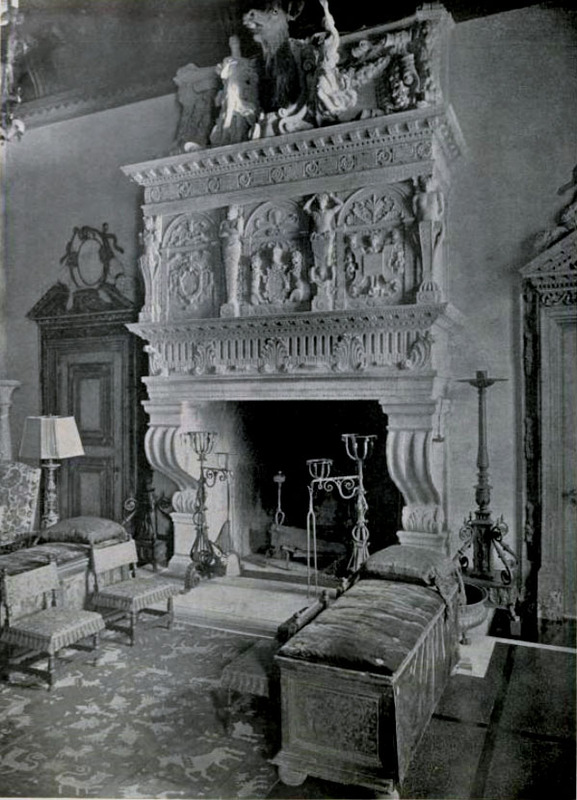 Summers passed, with yachting parties, tutors and dances for the children, daily horseback rides with his secretaries, and yet another enlargement of Chatwold. 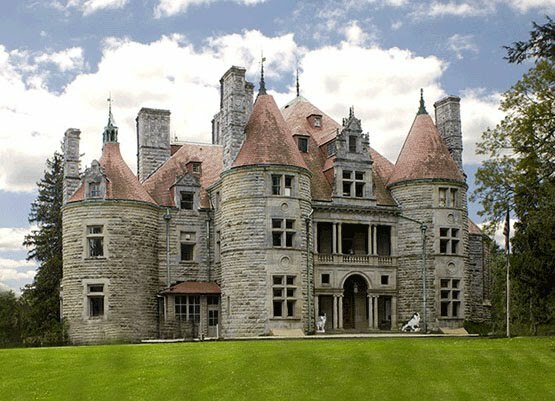 Andrews, Jaques & Rantoul, a Boston firm with a large Bar Harbor practice (Herbert Jaques had a summer house just down the road at Schooner Head) were summoned, and the servant’s wing was nearly tripled in size, and yet another stone tower added. 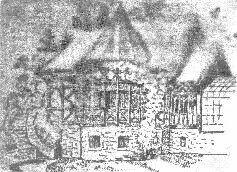 A critic at the time said the whole had come to resemble a Norman village. 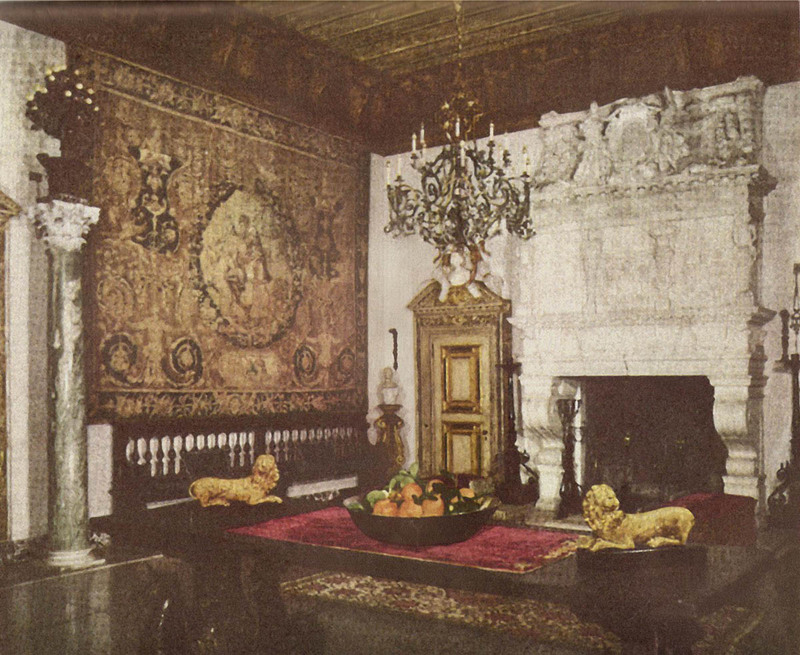 With over 50 rooms, Chatwold was now one of the largest houses in a town of very large houses. 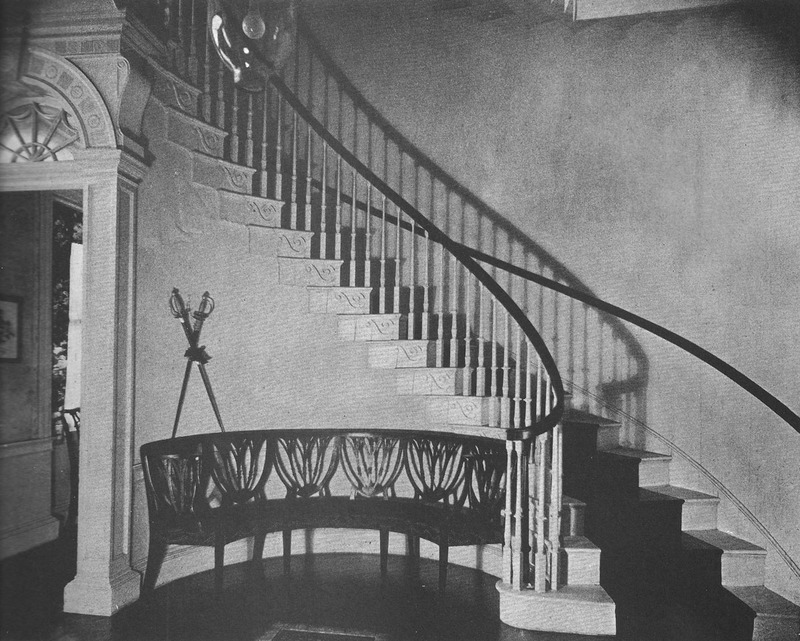 In the summer of 1902, seized with a new idea, Pulitzer summoned his secretaries, and in the library at Chatwold dictated an outline of this idea—for a school of journalism at Columbia University, which would also administer a prize for journalistic excellence, which eventually became the Pulitzer Prize. 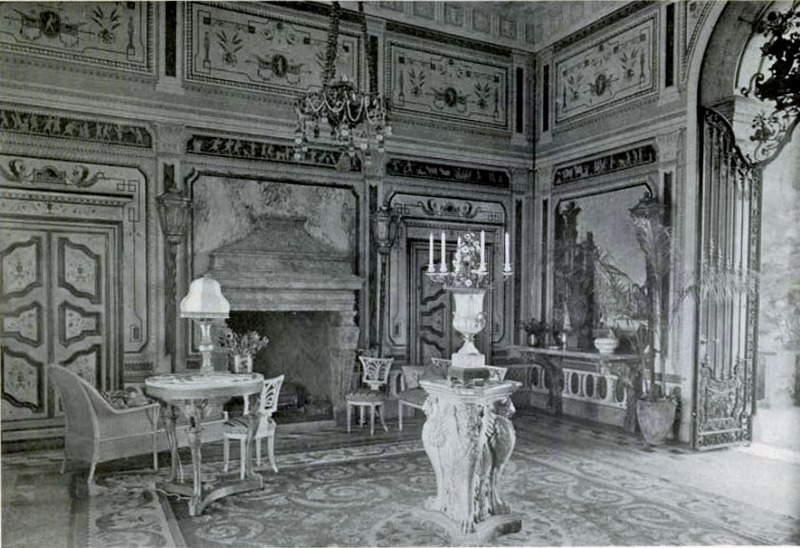 By 1925, Mrs. Pulitzer found the responsibility of maintaining the estate too burdensome, and retired to her chateau at Deauville, leasing the cottage to her son, Joseph Pulitzer II, for $2,500. 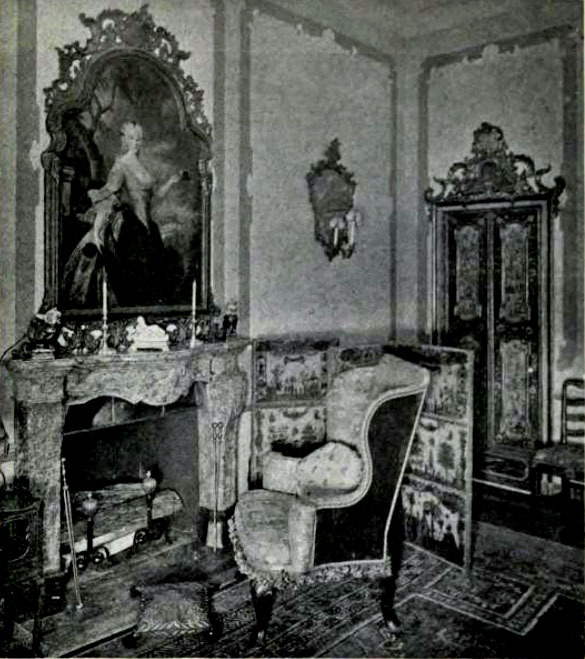 Two years later, upon her death, he assumed ownership of the estate. 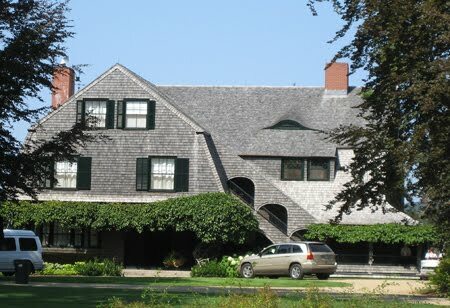 Guy Lowell, architect of the Museum of Fine Arts in Boston, was brought in to make updates and alterations to the house. 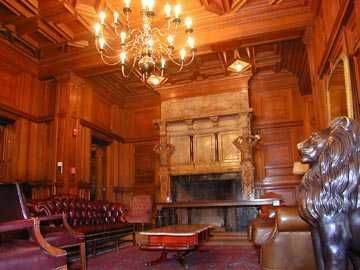 Life continued on much as before until the stock market crash of 1929. 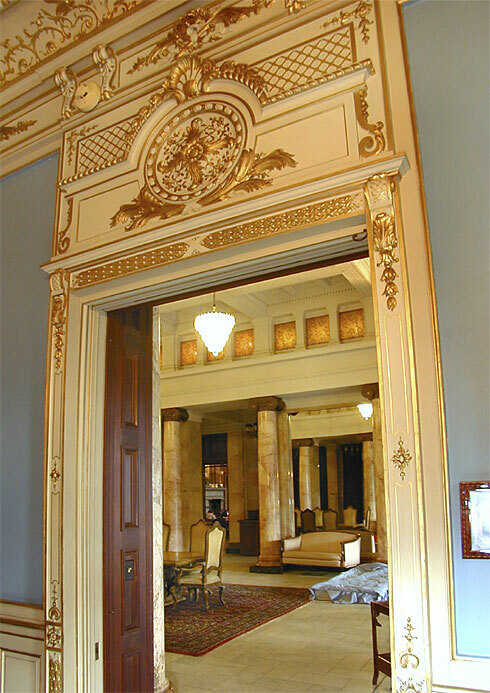 The John Singer Sargent portrait of Kate Davis Pulitzer was still shipped to Bar Harbor each summer to hang in the dining room, which had acquired new murals of the Bay of Naples. A chauffeur still drove the sleek gray ‘country’ Packard. But, though still a wealthy man, Pulitzer felt the pinch and tried to economize where he might. 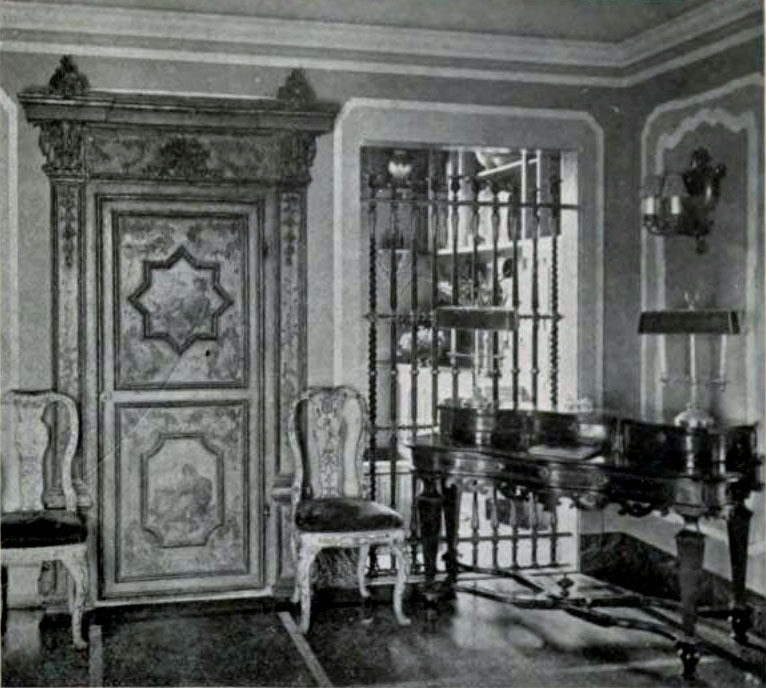 Among his cost cutting measures was reducing Gardenia operations in the greenhouse—no longer would each breakfast tray have a fresh gardenia every morning, only those of Mrs. Pulitzer and special guests—“the children won’t really miss them”. 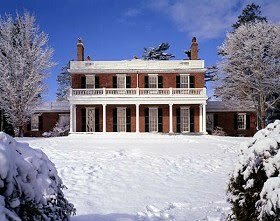 Nevertheless, hothouse melons were still grown for the table, and a Swiss chef, several gardeners, a butler and a bevy of maids continued to be employed, at reduced wages, and somehow the family muddled through. The end was near, however. 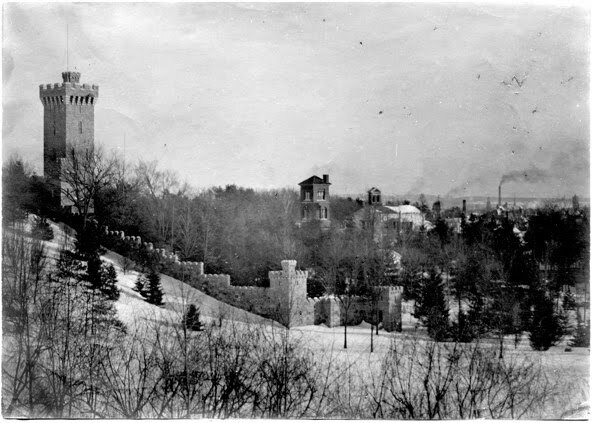 Chatwold wasn’t opened in the summer of 1932, and in 1936, the Tower of Silence was taken down. 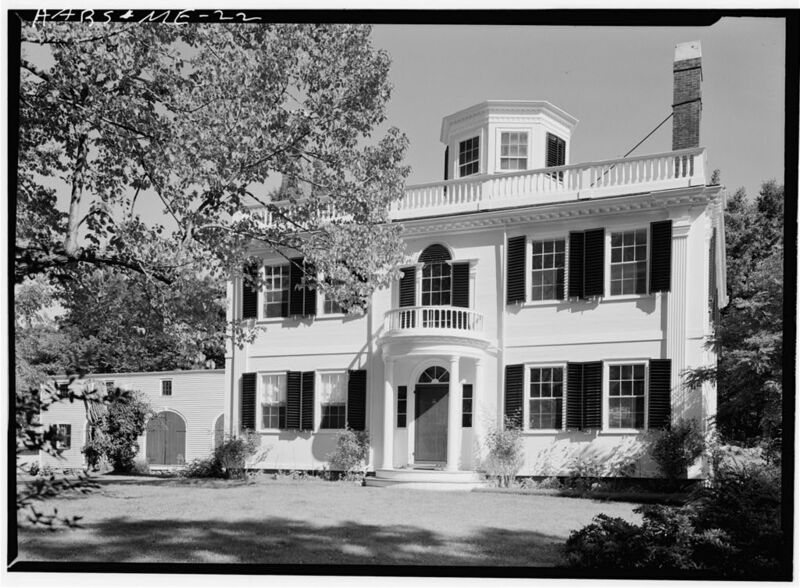 In 1938, the Pulitzers rented a smaller cottage nearby, although they found the net saving was only $2,000. 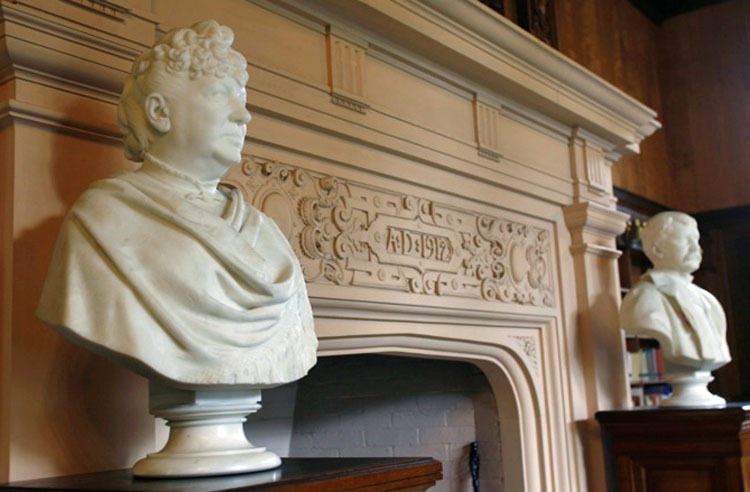 Chatwold was placed on the market for $225,000, but with the effects of the depression still being felt, and war on the horizon, there were no takers. A lavish wedding for daughter Kate in 1941 was the last big party at Chatwold, with several hundred guests dancing to an orchestra on the terrace. 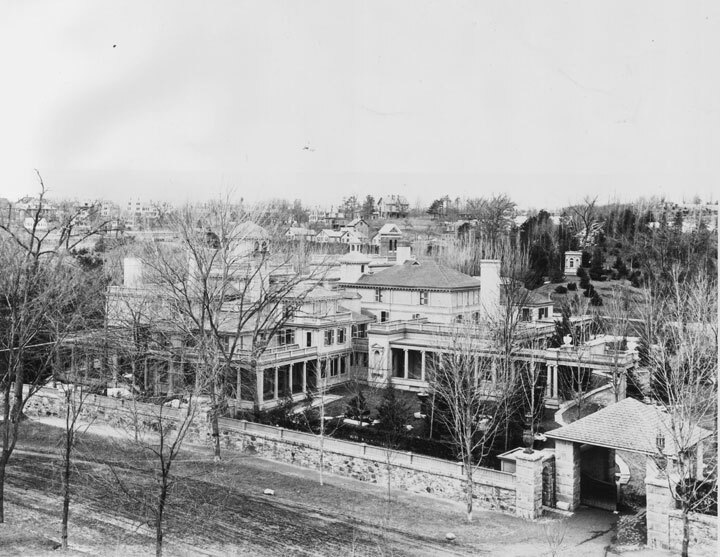 In 1945, after writing a friend that “the day of the summer palace is over”, Joseph Pulitzer II had Chatwold, the greenhouses, and all outbuildings except the huge garage demolished. 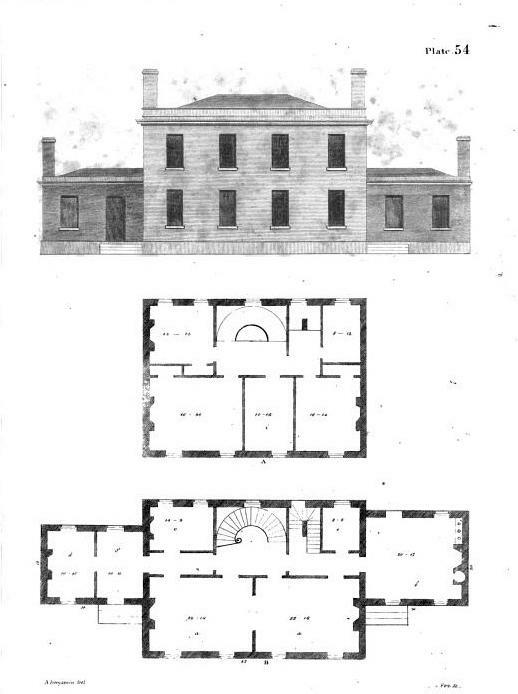 He had planned to build a new house on the site, but instead purchased a relatively smaller cottage, Beachcroft, closer to town, and remodeled it, incorporating salvage from Chatwold. 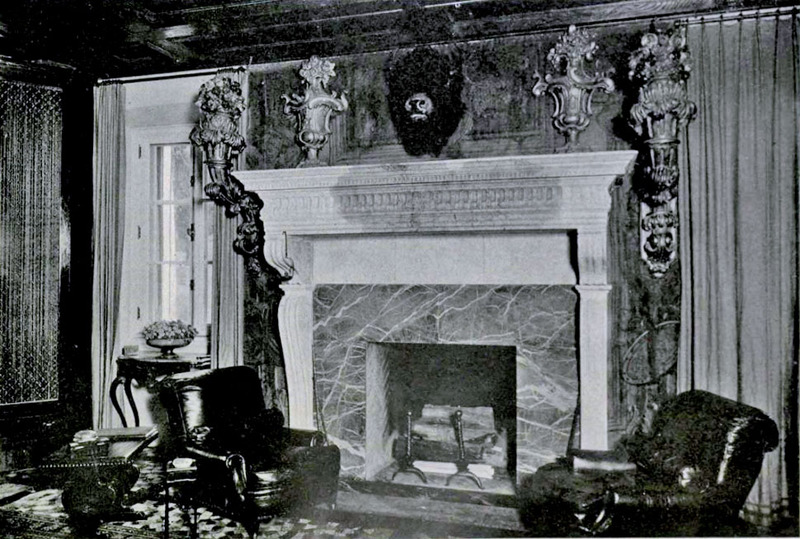 Other choice bits–mantels, doors, paneling and art, were stored in the garage for future use . 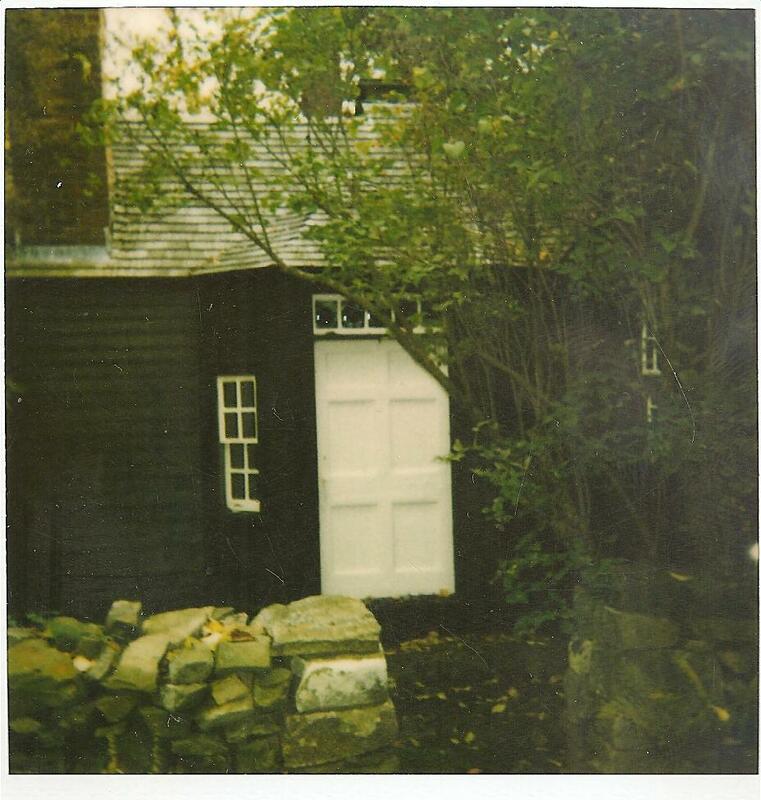 In 1947, a forest fire swept Bar Harbor, destroying the garage and the stored fragments of Chatwold, and were it still standing, Chatwold itself would also have gone up in flames. The day of the summer palace was indeed over. 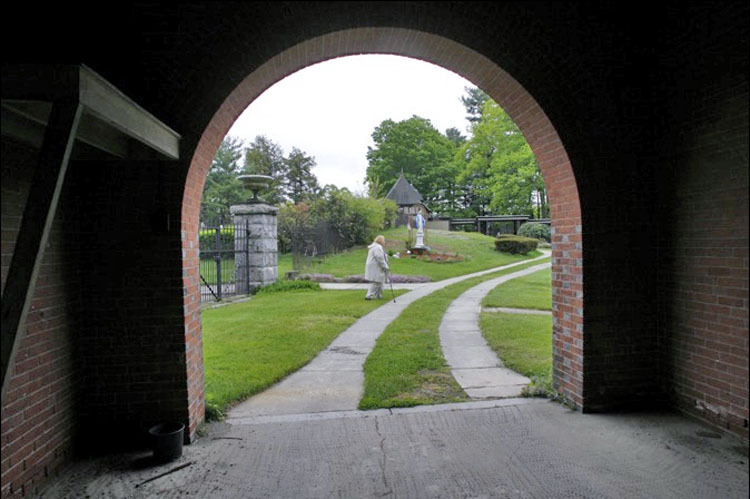 Having acquired the 18th century Waldo House just below Pine Lodge near the corner of East and Streets, Searles decided to create a new ceremonial entrance to the estate. 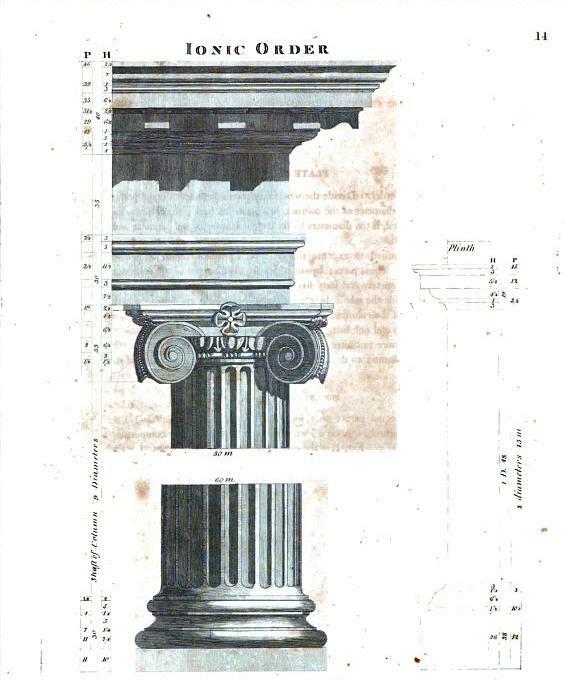 A few years earlier, he had acquired two 50 foot columns from the recently demolished Bank of America building in Boston. 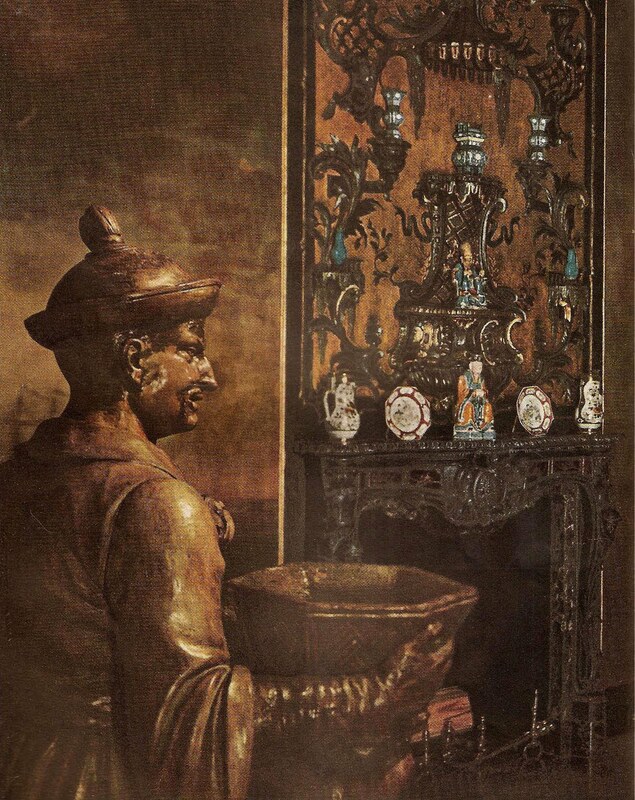 He now had them erected as part of a scheme for a ceremonial entrance from Street. There was one small problem. 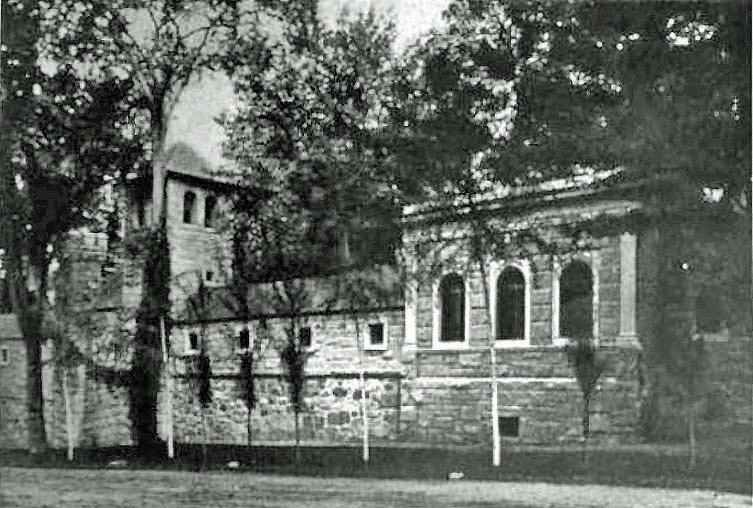 The church on the opposite corner owned a small triangle of land between his proposed gate and the street, and they would not sell, and would not trade. 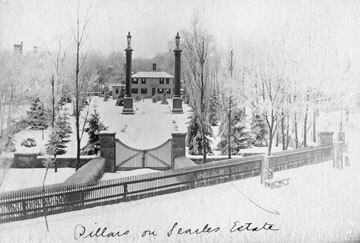 The area became a park, and Mr. Searles concentrated on other projects—-many other projects. 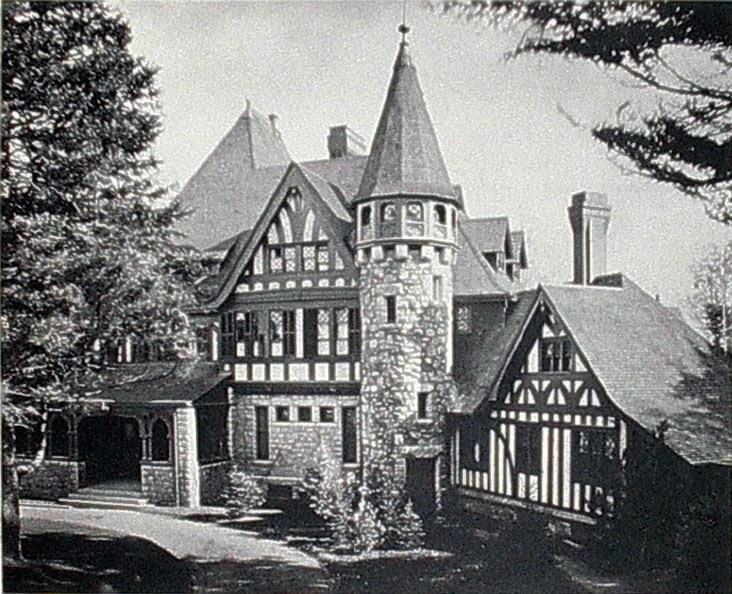 Just to jog your memory, this is Pine Lodge as it appeared at the time of Mrs. Searles’ death. 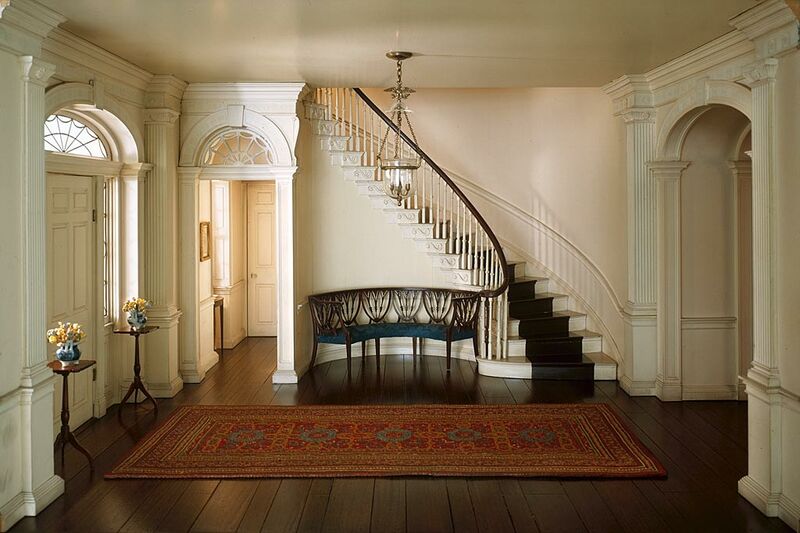 Within the house were interiors in virtually every style, from Gothic to baroque to Louis XVI, with the high level of finish one would expect from a man whose career had been with America’s top decorating firm. and there was yet a third. 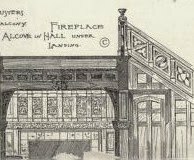 Searles purchased the old Tenney Hat factory on the Spicket River a couple thousand feet from his house, and turned it into the Searles organ factory. 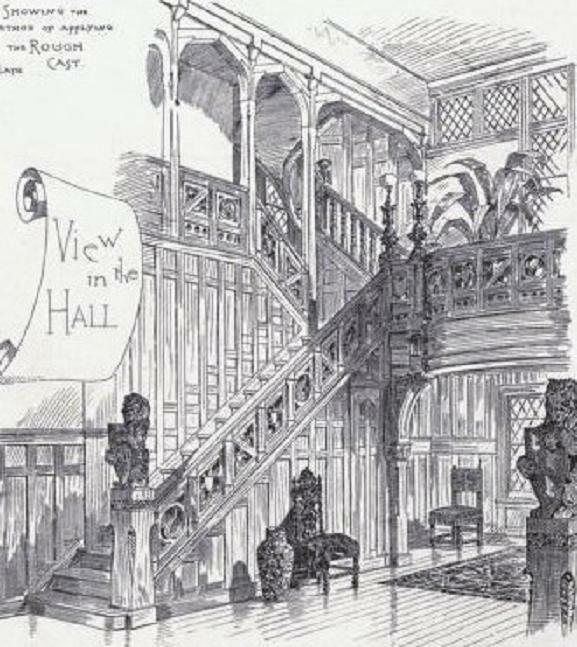 The concert hall was connected visually and physically to the Pine Lodge estate by a seven acre park which contained a 15 foot statue of George Washington by Thomas Ball, which Searles had purchased at the Chicago Exposition of 1893. 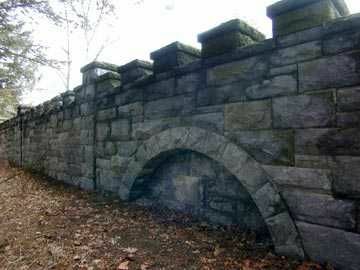 He surrounded the statue with giant links supposedly from a chain that had been stretched across the Hudson River during the Revolution to prevent British ships from invading. 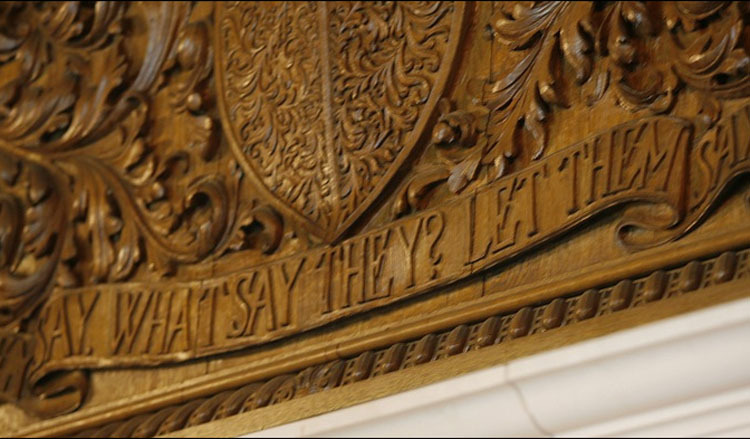 The original is actually at West Point, and Searles’s was a fake sold to him by the arms dealer Bannerman (never trust an arms dealer, I always say). 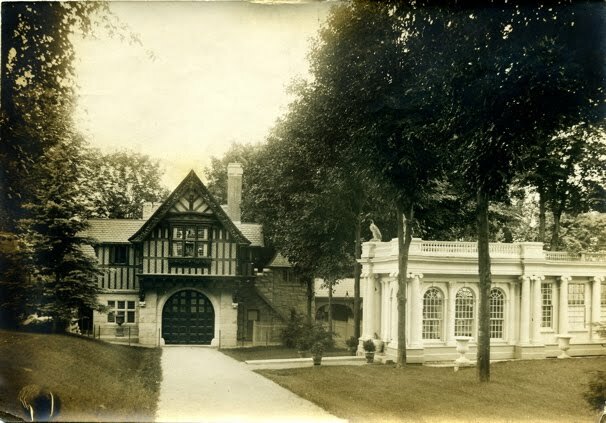 After Searles’ death in 1920, history repeated itself, and there was yet another will stuggle., this one very unattractive After $5,000,000 in bequests to family and friends, the residual estate, approximately $18,000,000 (over half a billion in today’s money), was left to his unmarried personal secretary, Arthur Walker. 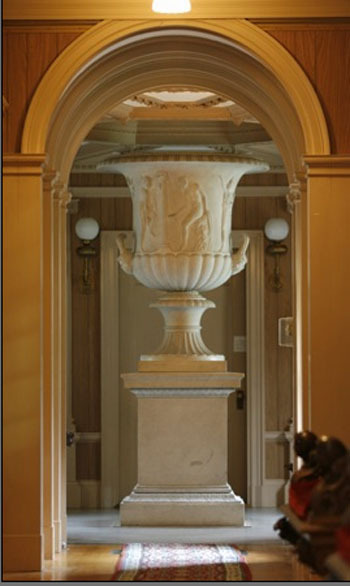 A nephew who inherited $250,000 contested the will, as did a Greek bellboy at the Murray Hill hotel who had inherited $10,000, and who claimed that as Searle’s protegee he had been promised far more, and was in possession of fairly embarrassing letters from Searles. The newspapers took this up with relish, with tales of Searles having styled himself as Lord Methuen, traveling between his three castles (there are two more in Salem New Hampshire, and Windham, New Hampshire, both within 15 miles of Pine Lodge), and dressing his servants as characters from the Elizabethan era, both probably not true. 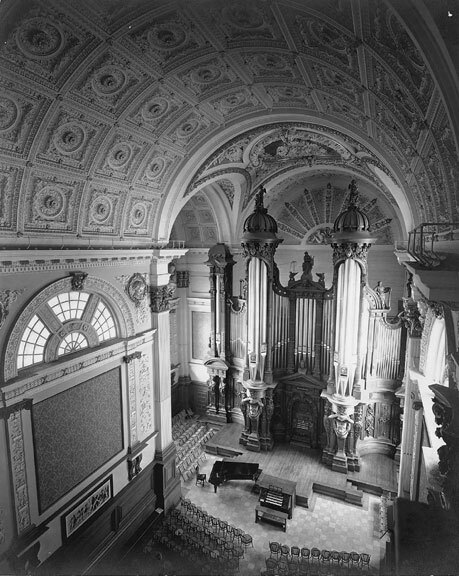 The concert hall and organ factory were inherited by Walker, but the castle was left to relatives named Rowland, with the hope that they would carry on the Searles name (as opposed to the nephew contesting the will, whose name was Searles), and occupy Pine Lodge as a family seat. They did neither. 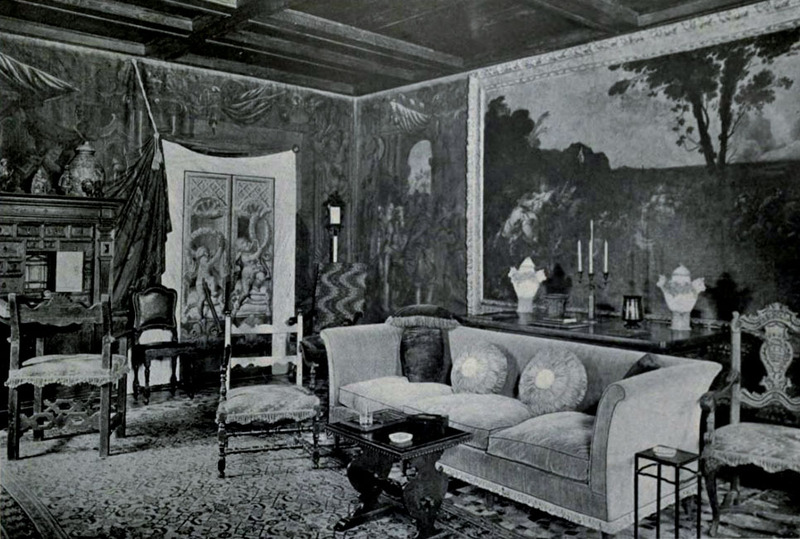 The place was discreetly placed on the market, and in 1922, opera diva Geraldine Farrar was trying to buy the estate. 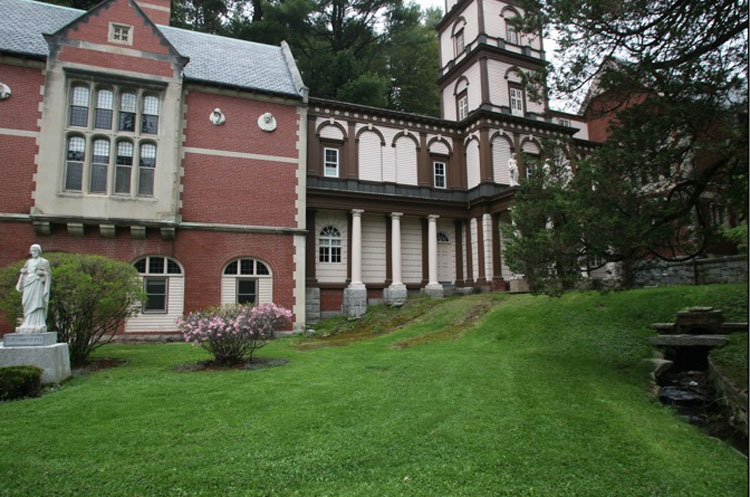 The sale did not take place, and several sales of the contents were held over the years, disposing of Searles’s collection. 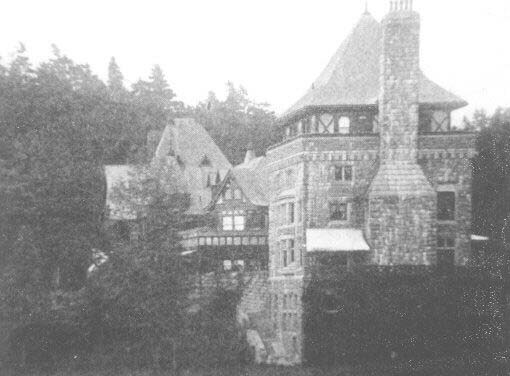 In 1930, a portion of the original wing of Pine Lodge, nearest the wall, was torn down. 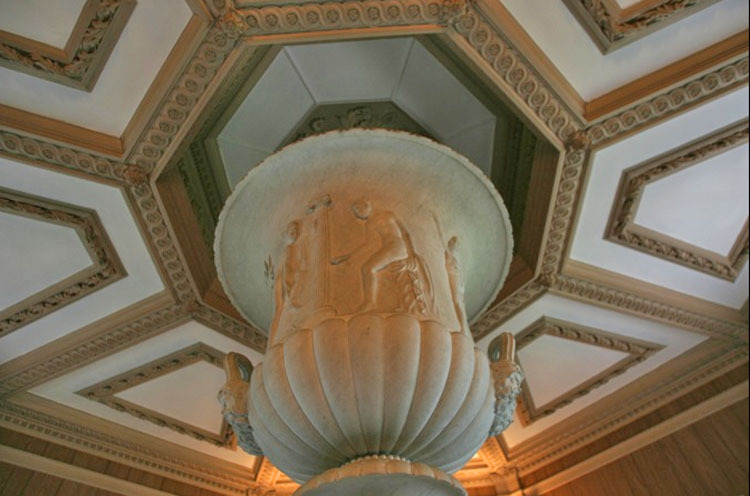 In the 1950’s, a nephew sold the statue of George Washingtonto the developers of Forest Lawn cemetery outside Los Angeles, where the chain is still represented as an artifact of war. . 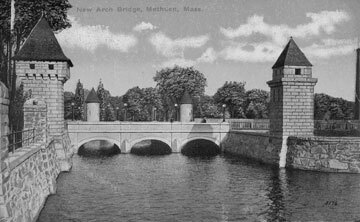 Although bridge and concert hall, now public, survive, the landscape effect is lost—the park was sold by the nephew as site for a high school and housing development and are cut off from the castle grounds. 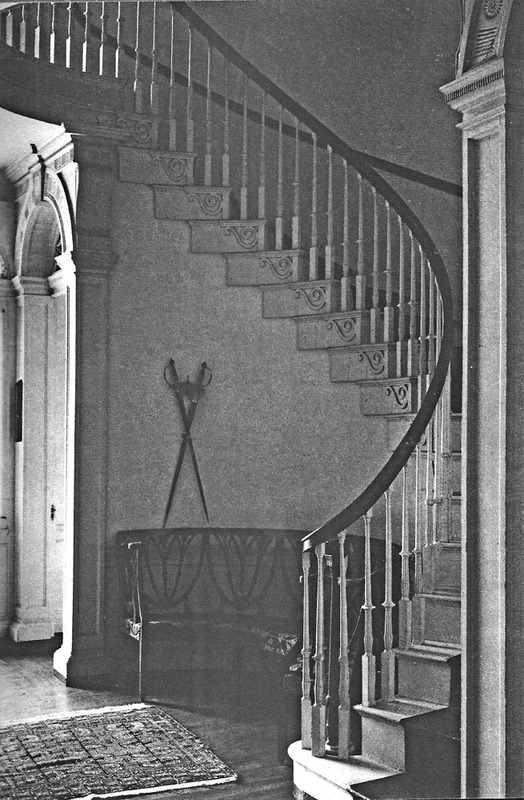 In 1958, the house itself was sold to the Sisters of the Presentation of Mary, to be operated as a school. 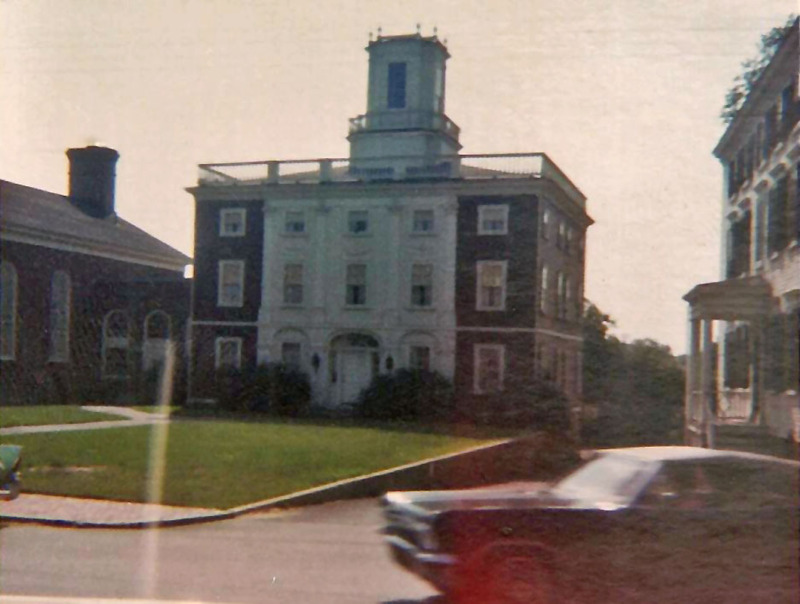 Almost their first act was to build a yellow brick box in the space left by the demolished wing (the same people who brought us St. Peter’s have also brought us thousands of ugly yellow brick boxes on formerly handsome sites). 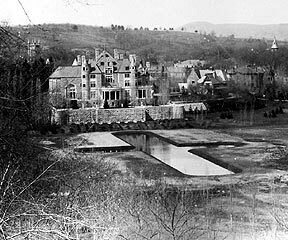 Interestingly, after this initial act of insensitivity, they have been careful stewards of the other buildings Click on the aerial photos below for an idea of the complex today. 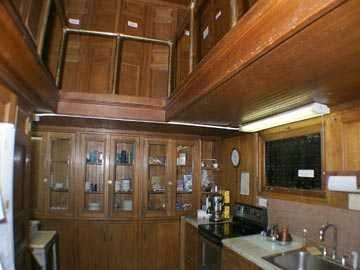 Bits of the original portion of Pine Lodge can be seen amidst the boxy modern wings. 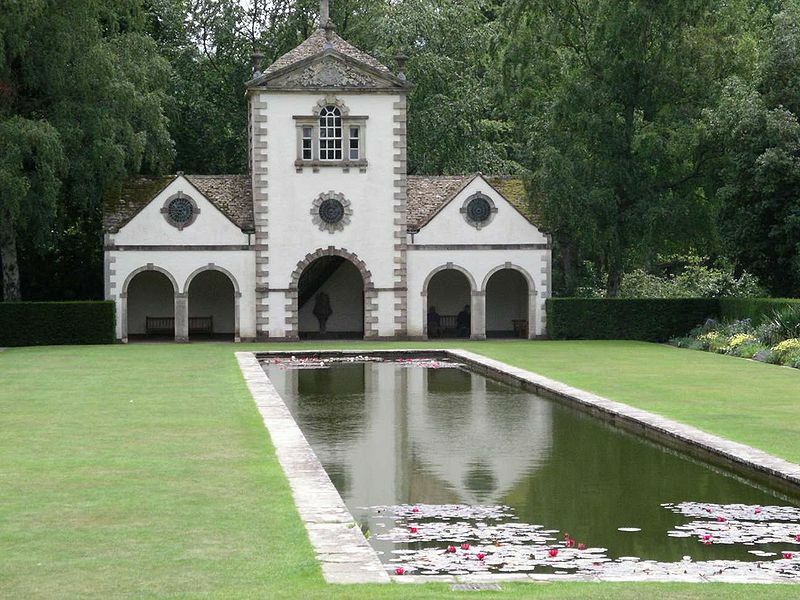 To my mind, the whole of Pine Lodge occupies the nexus between Beauport and Hearst Castle, with a soupcon of Portmeirion village thrown in for good measure. 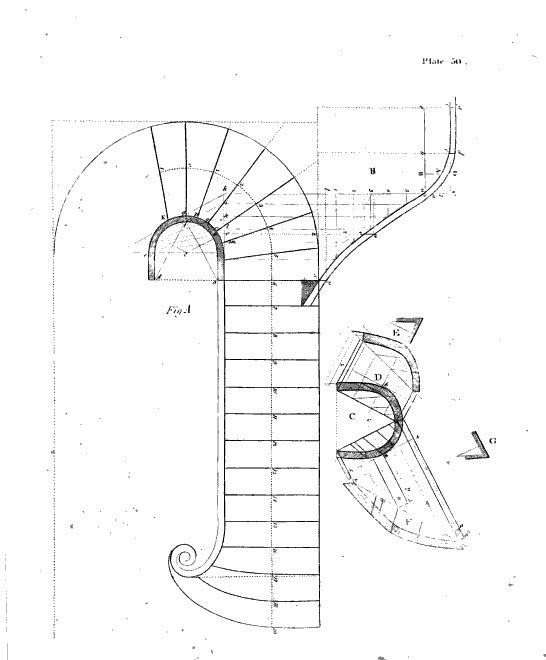 It predates any of them, but like them, it is the fantasy creation of a singular aesthetic mind. 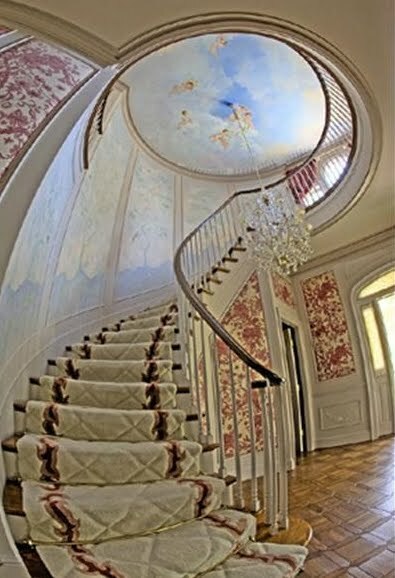 Love it or hate it, it is not dull; silly and stupefying though portions of it may, there are also moments of real beauty in house and grounds. 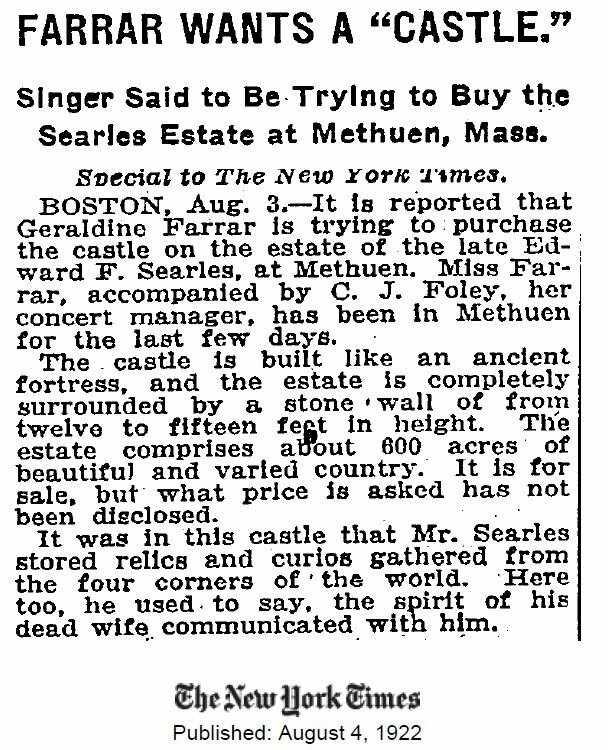 Searles went on to build two more castles over the border in New Hampshire, which we’ll cover more quickly later this week. 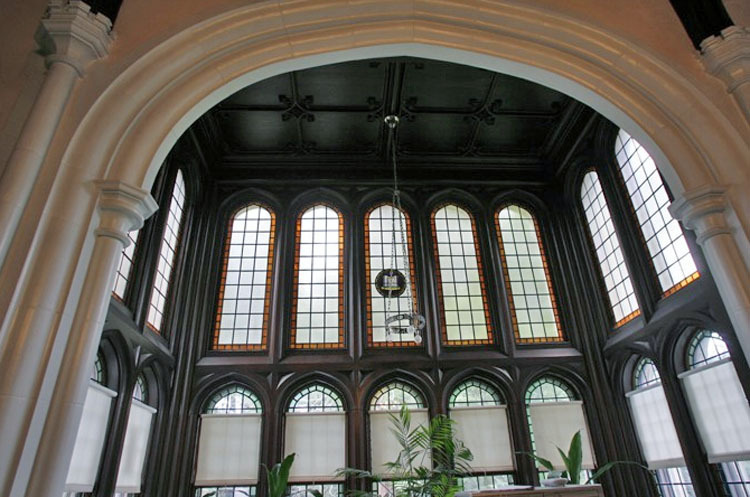 Despite his many eccentricities and reclusive nature, he was a generous philanthropist, and gifted his home town with a series of handsome buildings—a railroad terminal, two schools, three churches, a YMCA, an inn, and more. I’ve just run out of steam on this post, however, and I suspect your attention span wavered long ago also, so we’ll leave the story here. Looking East. 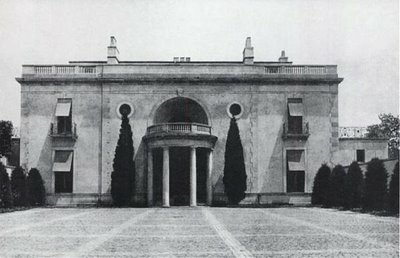 The Palladian ‘marble’ wing is at center, with the brick campanile and octagon to its left. The half timbered bridge is at upper right. 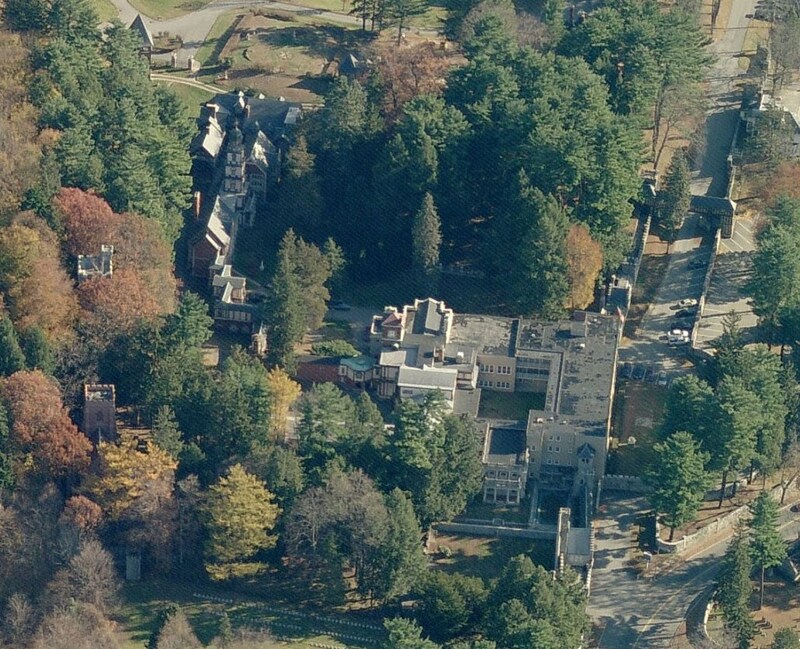 The trees to the left obscure yet another wing of the building, joining to the Elizabethan wing at upper left. 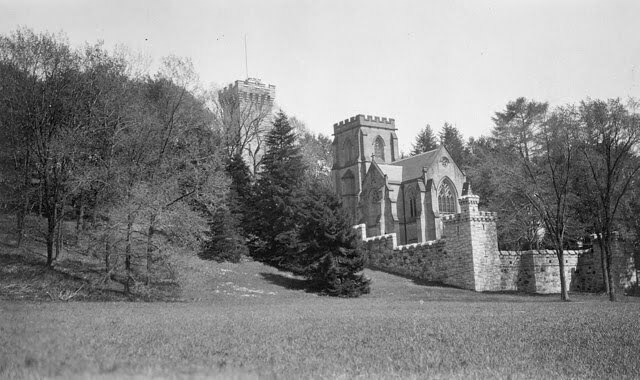 The chapel is at lower right. 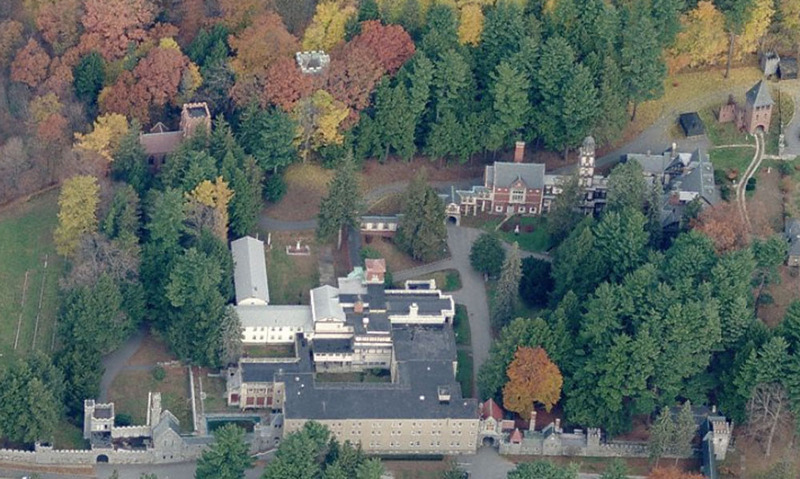 Surviving portions of the original Pine Lodge can be seen in the lower foreground to the right of center. 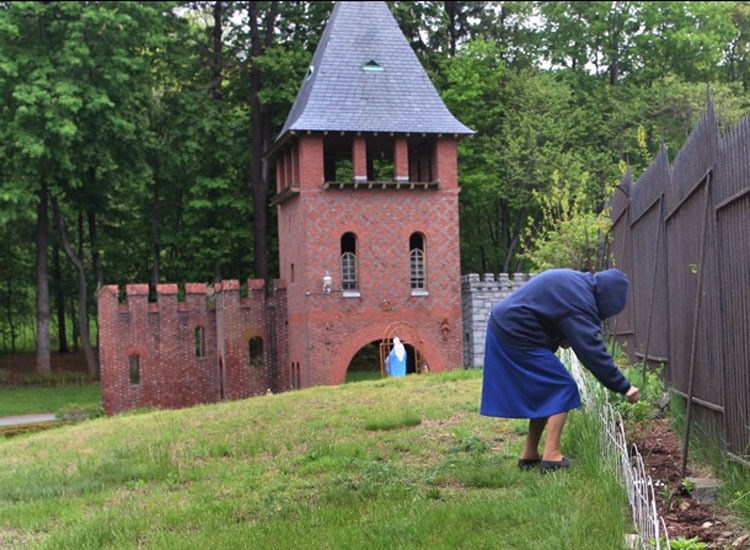 I tried, but this one got away from me—it is a story impossible to compress into one post—one man, four castles. Move over, Alva Vanderbilt. 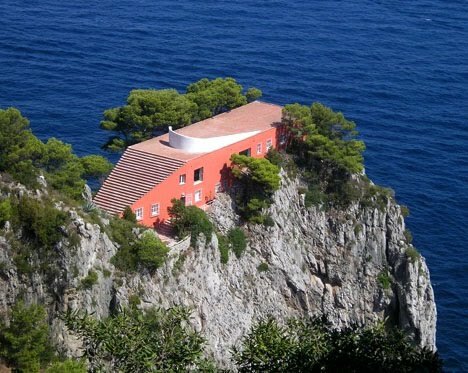 I have always been fascinated by compulsive builders (Another wing! Another folly! A bridge across the lake! A Tower! ), and by the fantasies they create for themselves. So taken am I by the creation, that I don’t give a rat’s bottom about architectural greatness in these cases. The fantasy is its own end. Edward Francis Searles was born in Methuen Massachusetts on July 4th, 1841, son of a mill worker and small farmer. 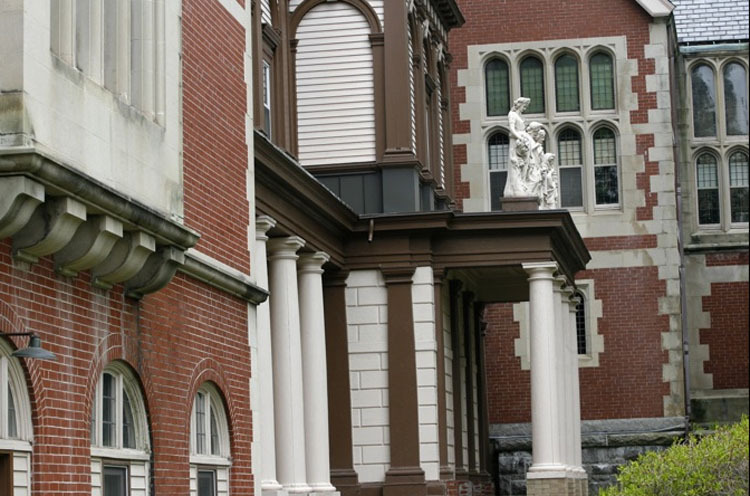 Possessed by beauty at an early age, Searles left Methuen to pursue an artistic career. 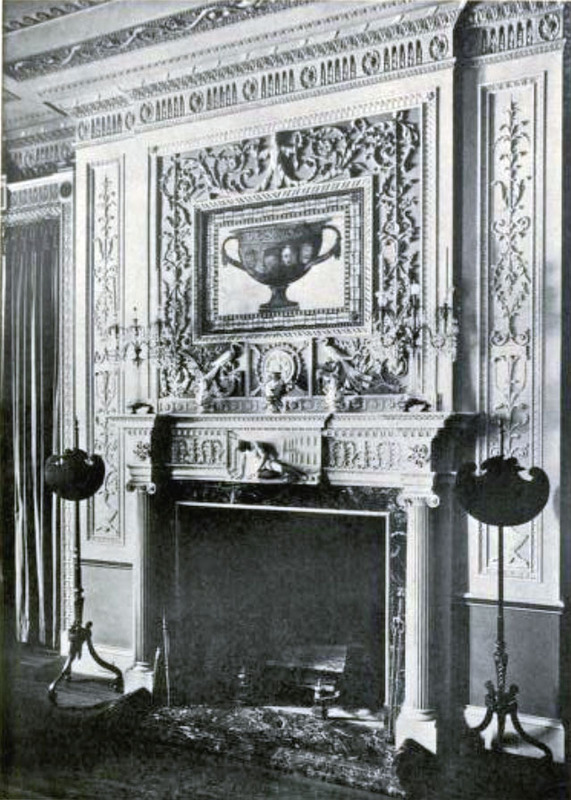 By the 1880’s the 40-something ‘confirmed bachelor’ (wink, wink) was working for Herter Brothers, then probably the leading decorating firm in America. 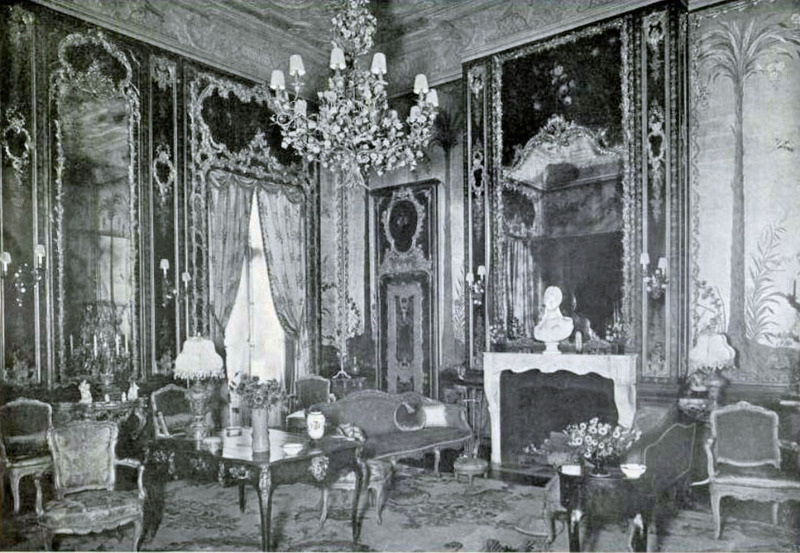 Fortuitously, he was assigned to a job for Mrs. Mark Hopkins, widow of the California railroad tycoon, for her new house on Nob Hill, now the site of the Mark Hopkins hotel. 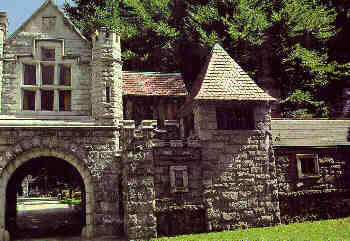 Kellog Terrace, Entrance front, showing juxtaposition of Loire Valley inspired towers, Serlio arch, and native stone. Soon the bachelor and the widow, who was 22 years his senior, married. 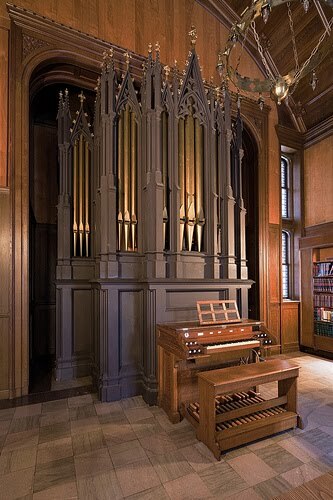 Plans for the castle got ever more elaborate—-a lover of music, Searles created a baroque music room with one of the largest residential pipe organs in the country. 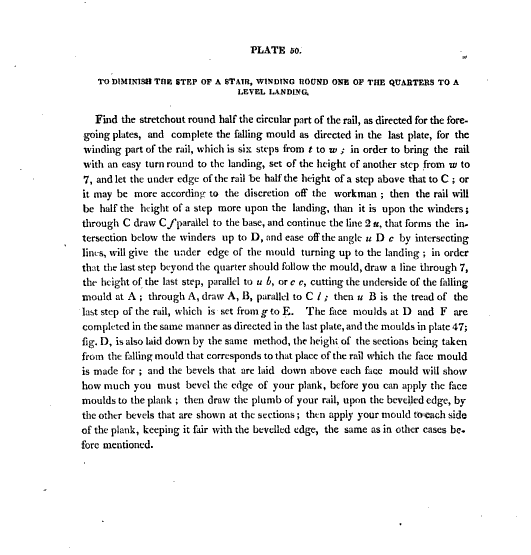 Searles was also an inveterate wall builder. 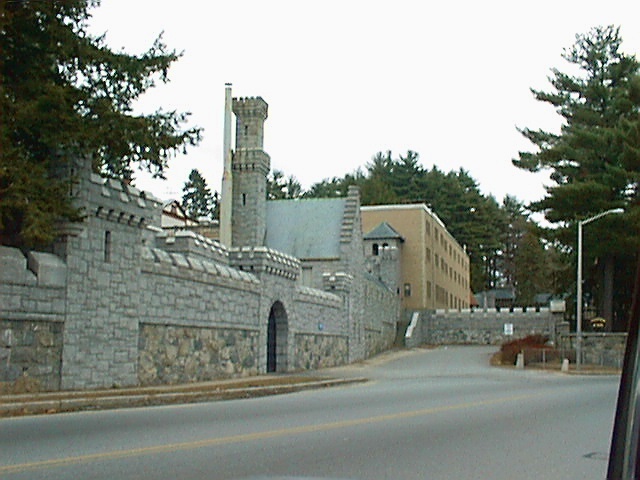 Kellogg Terrace, facing open countryside on the south, and backing up to the town of Great Barrington on the north, was soon surrounded by a castellated and fortified wall, presaging the many more miles of such walls, ever grander, that lay in Searles’s future.. 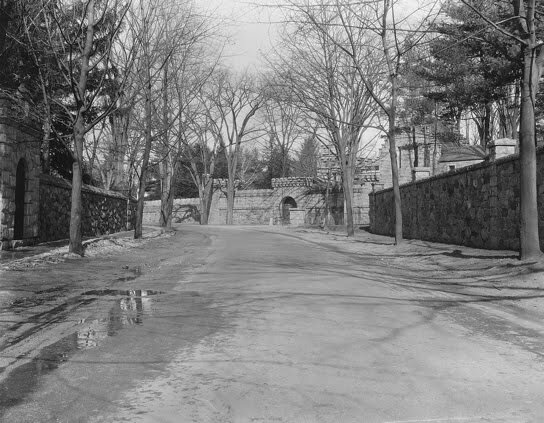 The crenelated stone walls of Kellogg Terrace were but a simple harbinger of the miles, ever grander, of such walls Searles would cause to be built during his 30 year building spree. 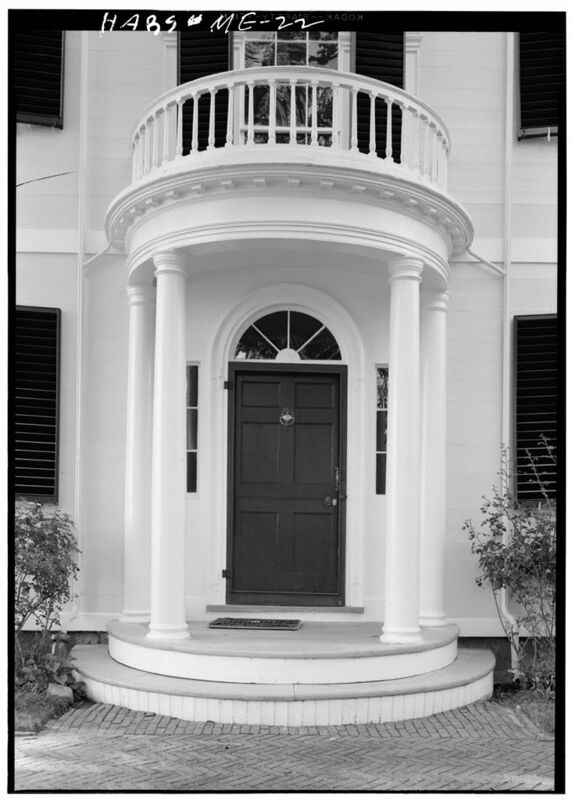 For summers, there was White Hall on Block Island, a double house with separate matching wings for Mr. & Mrs. Searles. 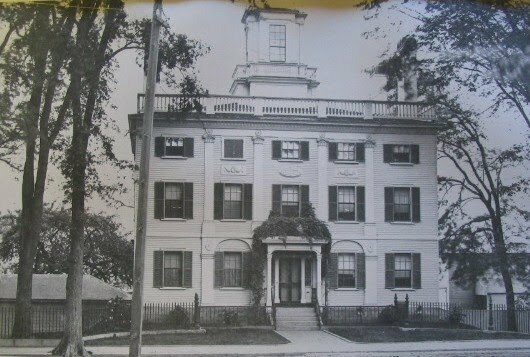 Back home in Methuen, Searles took over his mother’s modest Federal style house on East Street, at what was the edge of town, and began turning it into a mansion, which he called Pine Lodge. 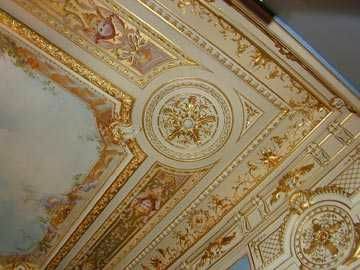 Here the middle aged decorator brought his bride, and together they enlarged and embellished the estate, and donated money to myriad local causes. Then, in 1891, tragedy struck. Mrs. Searles became ill and died. There ensued the usual tabloid accusations of foul play, and will challenges by disgruntled relatives. 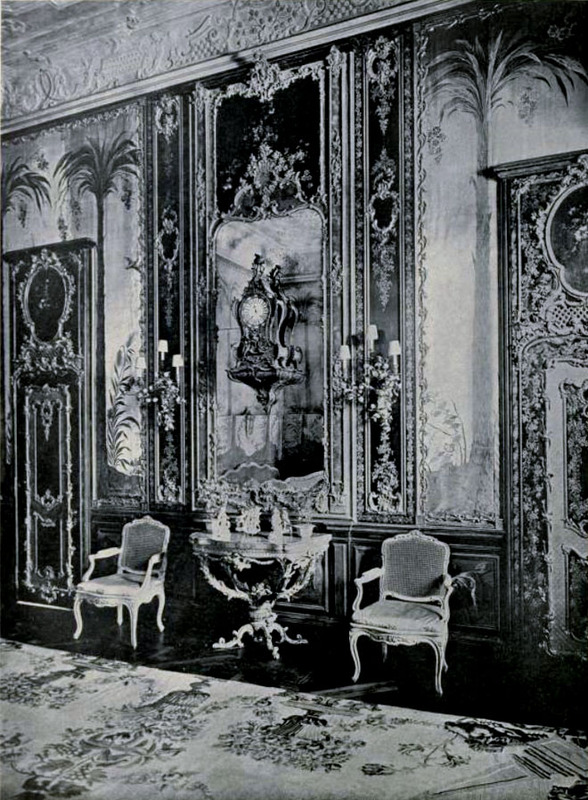 After a suitable mourning period, the widower picked himself up, and took his $21,000,000 dollar inheritance (around a billion in today’s money, for those not impressed by such a small sum), and selling Kellogg Terrace, went home to Methuen, and started on what was to become an almost endless round of remodeling and enlarging Pine Lodge. 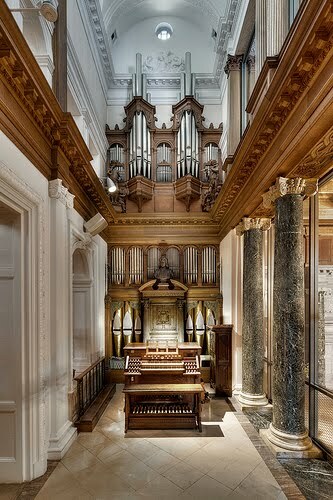 Since the 1880’s, Searles’ partner in building had been English born gothicist Henry Vaughan, who was achieving note as one of the prime ecclesiastical architects in the country. Now, with any financial constraints lifted, the two literally went to town. 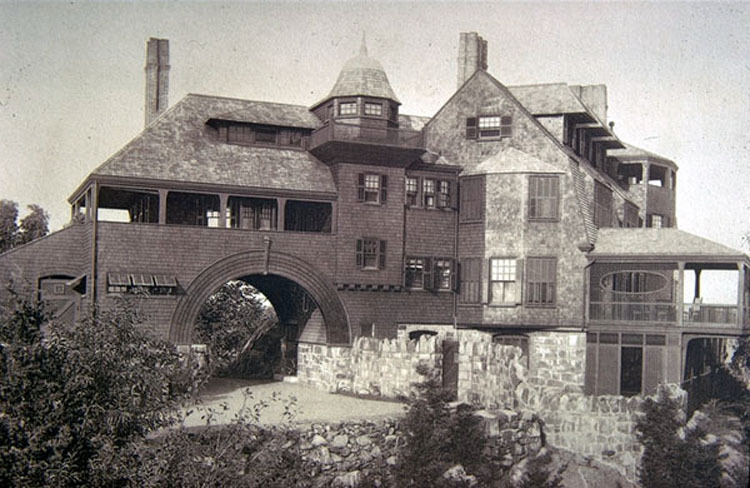 Tomorrow, we will explore the marvelous story of how the two men remade Pine Lodge, and the town around it to Mr. Searle’s generous and fantastical vision. 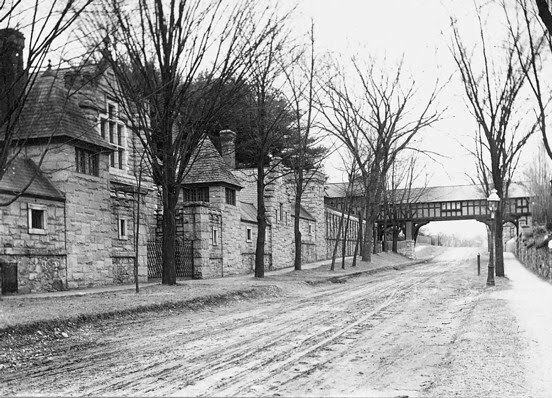 Kellogg Terrace in Great Barrington was mere rehearsal for what was to come next. Today there will be no pretty pictures of privileged lives. Most of us here in this corner of the blogosphere enjoy some level of comfort and choice. Blog posts more often than not reflect one’s own enviable possessions or homes, or those of others. We cannot imagine the desperate circumstances of those who cannot meet the basic demands of food and shelter. In this part of Maine, one sees the extremes of American society up close, from sleek yachts moored off private docks, to homes that would not be out of place in depression-era Appalachia, the two often not even a mile apart. Even in a down economy, expensive restaurants are filled with diners, while food pantries struggle to fill need. For many up here, the choice is not between dining in with a good bottle of wine or dining out with a good bottle of wine, but to dine at all. A volunteer at the local food pantry recently told me that need had nearly doubled over the last year, as the economy tumbled, and low level jobs disappeared. I’m proud to live in a community which has an organization and citizenry that steps up to fight hunger, and for that reason, I am asking you to donate to Feeding America. Please take a moment to read the sobering statistics below, and then click the link to make your donation, either to feeding America, or to your local food bank. 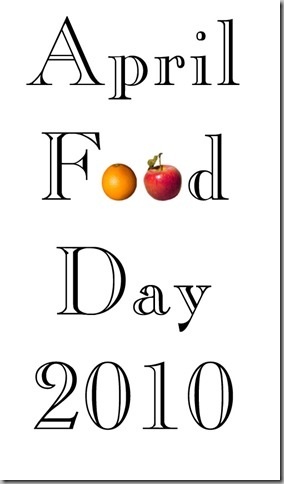 Thank you to Meg at Pigtown Designs and Chris at Easy & Elegant Life for using their kind hearts to spearhead this effort.